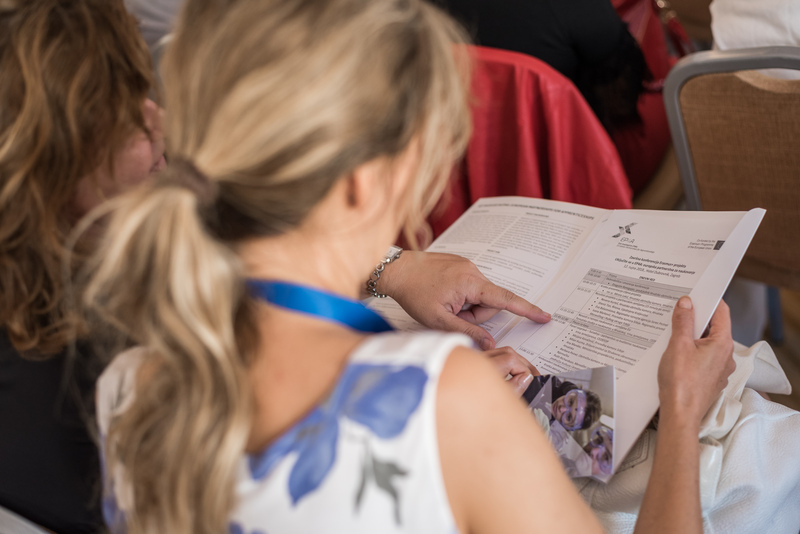 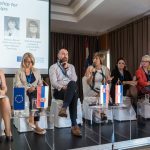 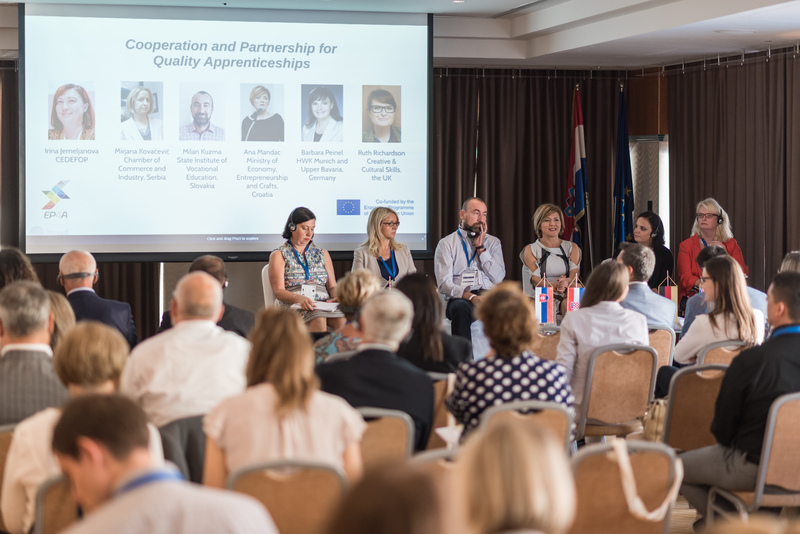 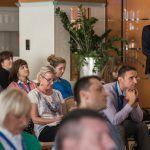 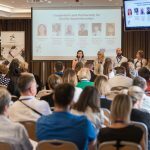 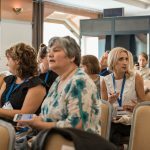 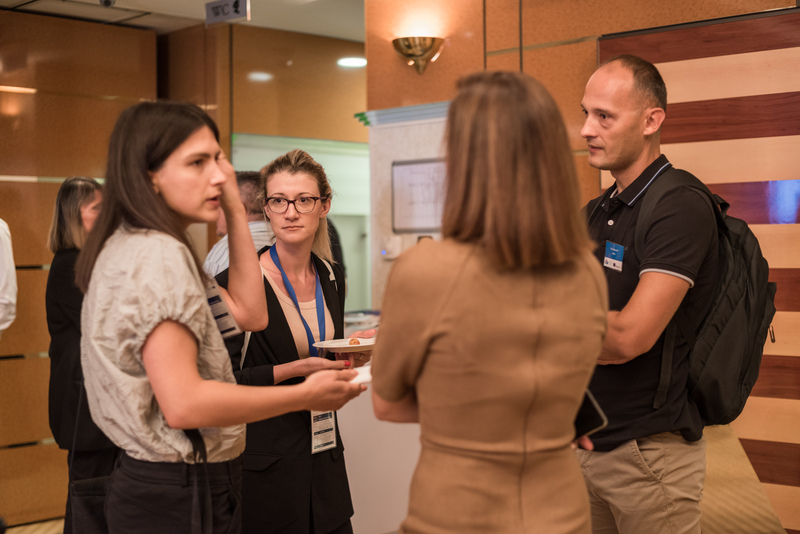 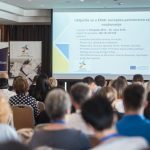 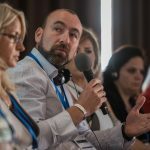 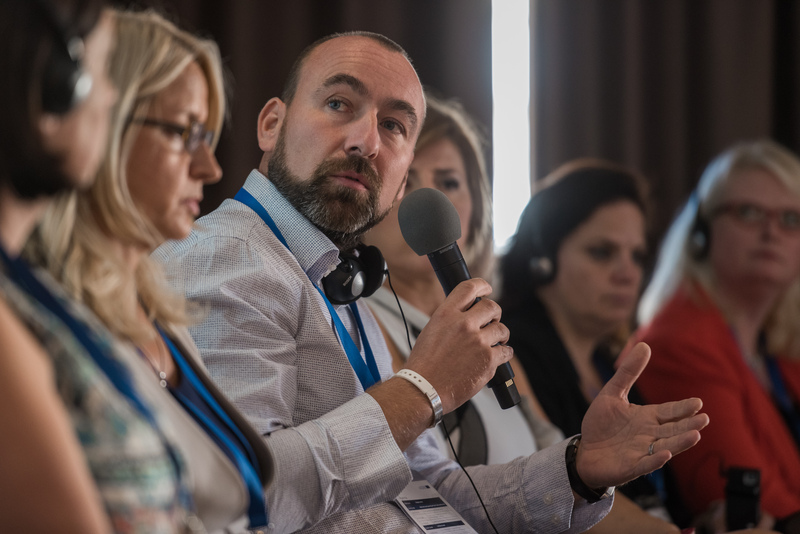 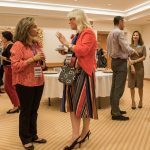 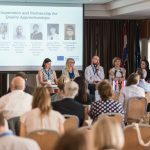 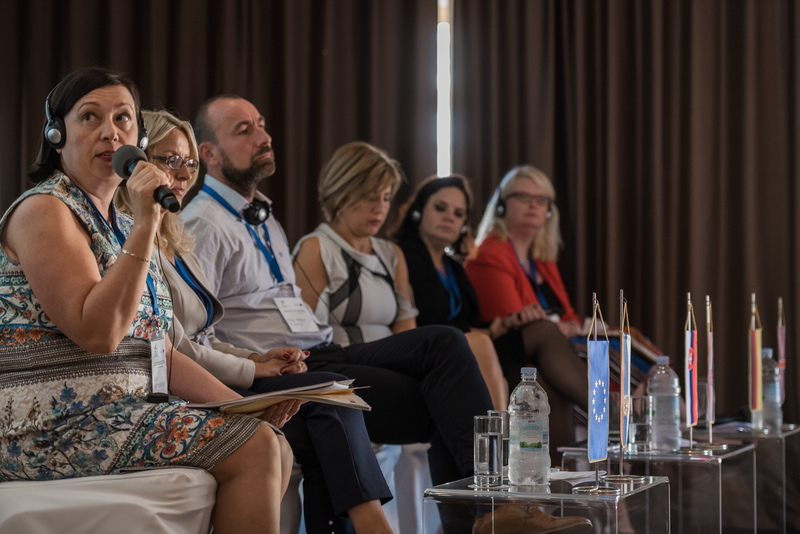 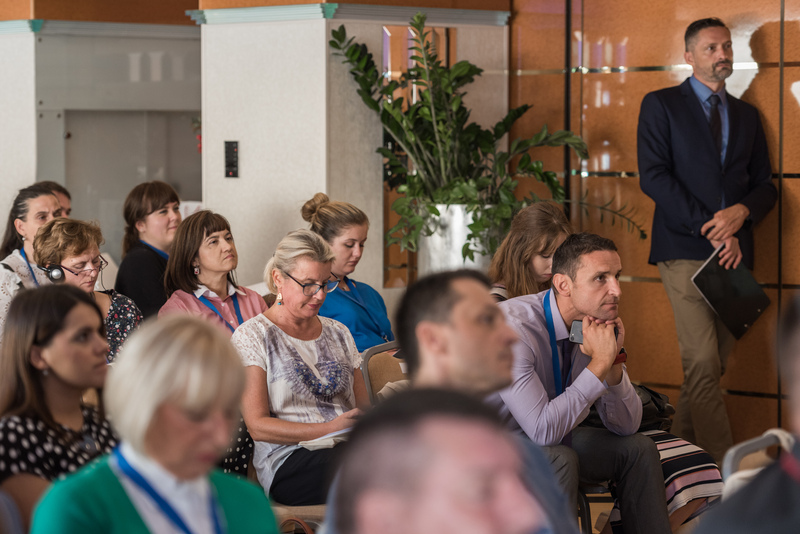 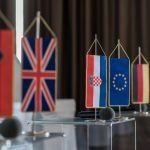 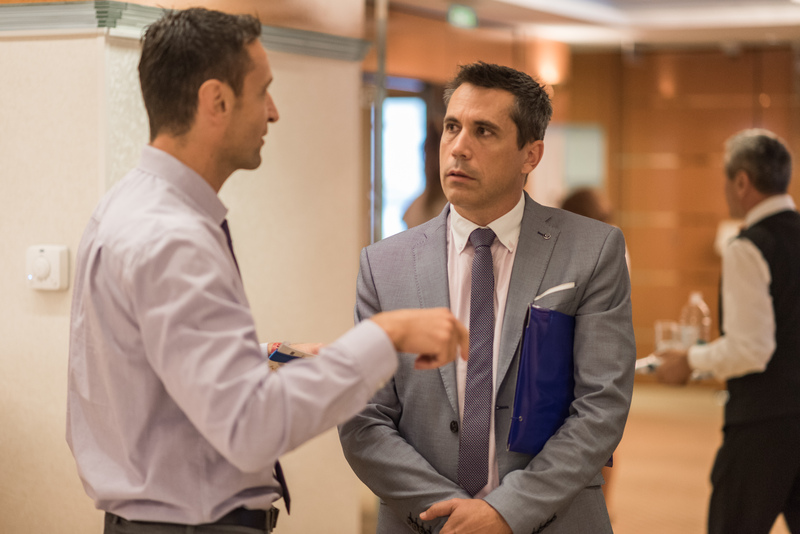 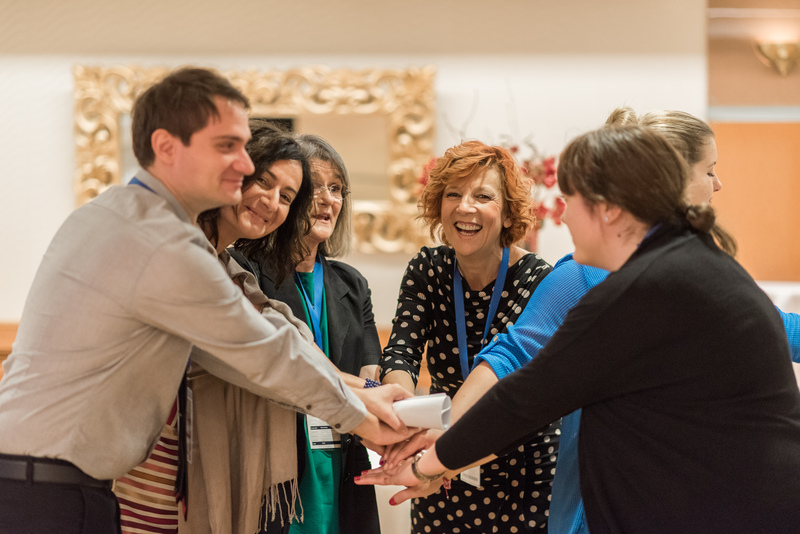 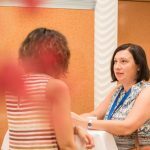 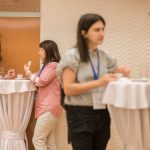 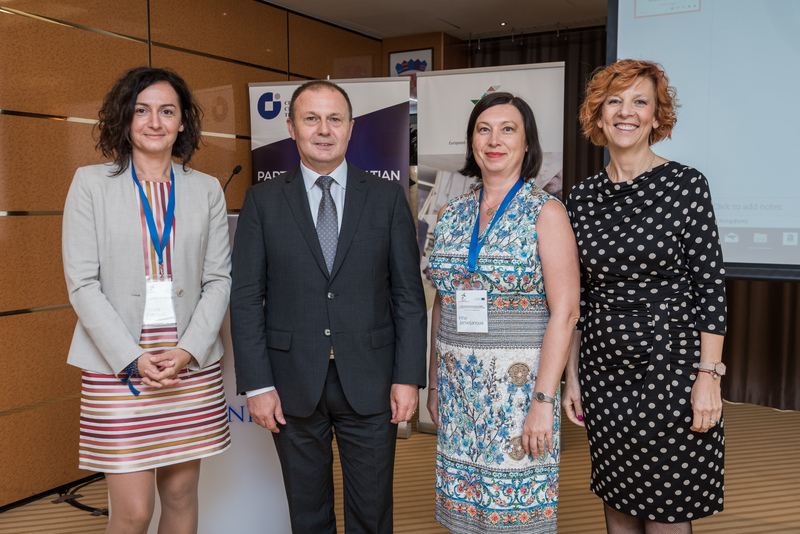 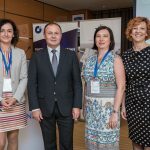 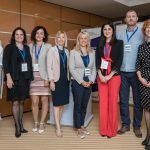 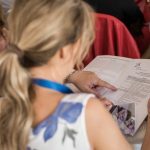 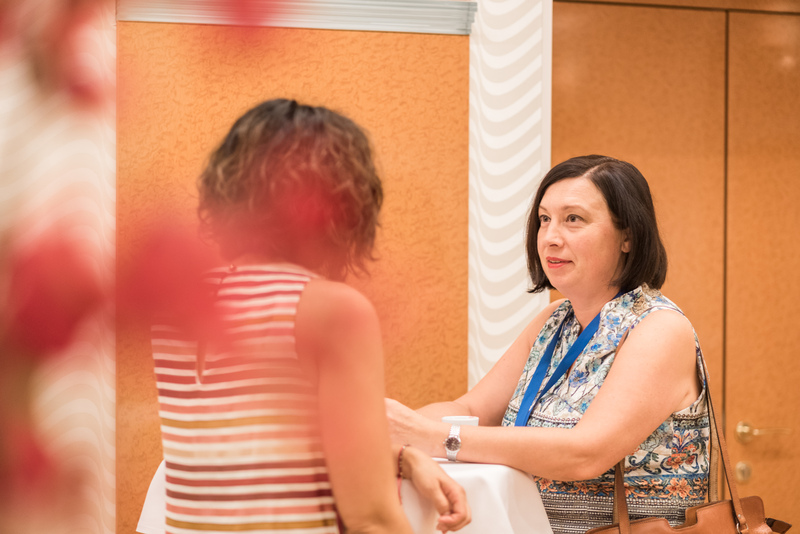 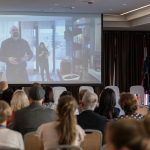 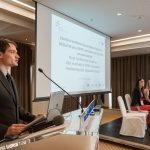 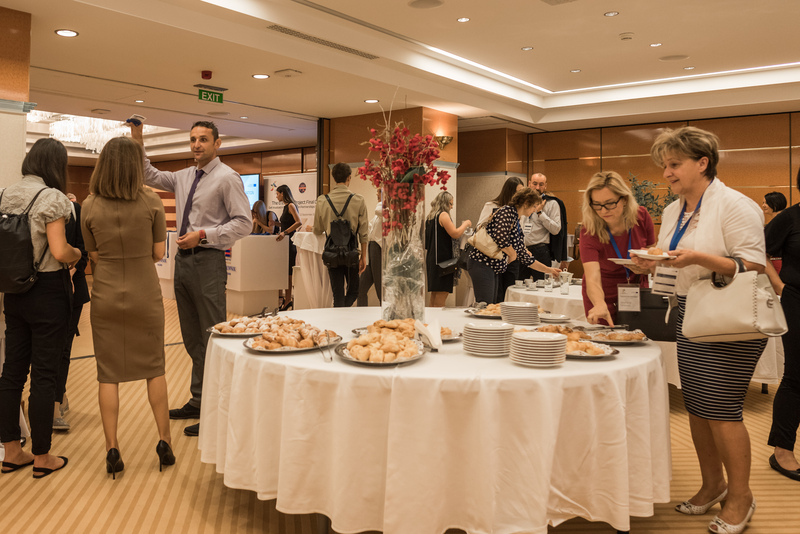 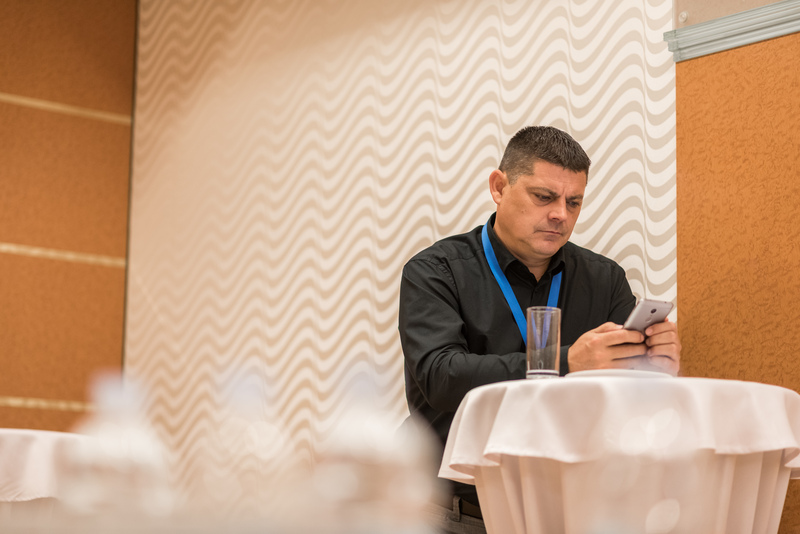 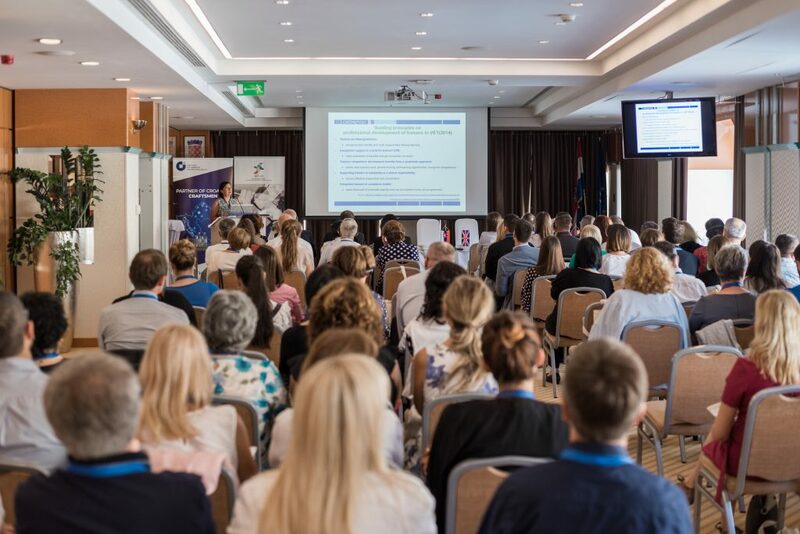 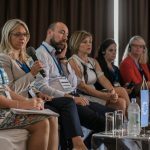 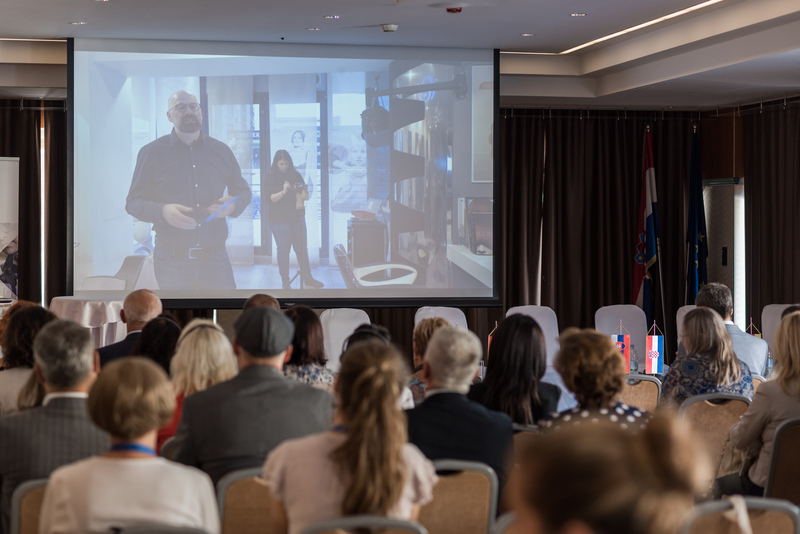 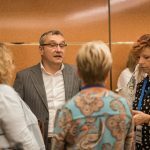 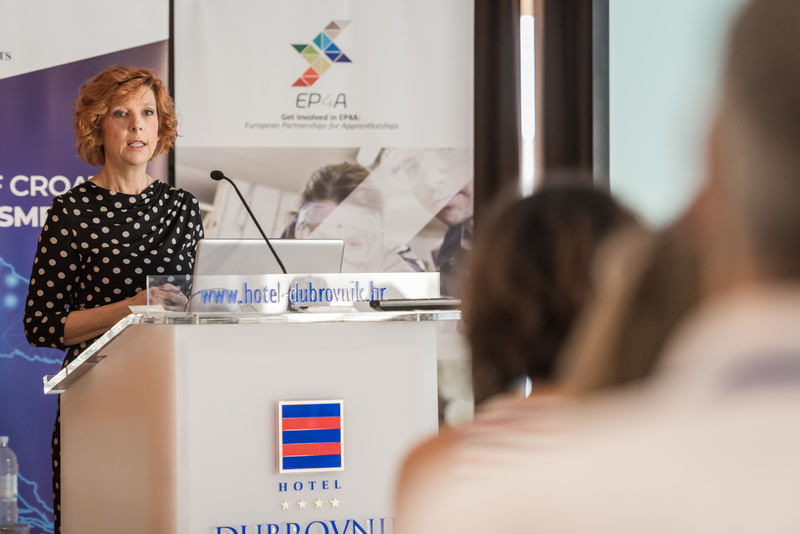 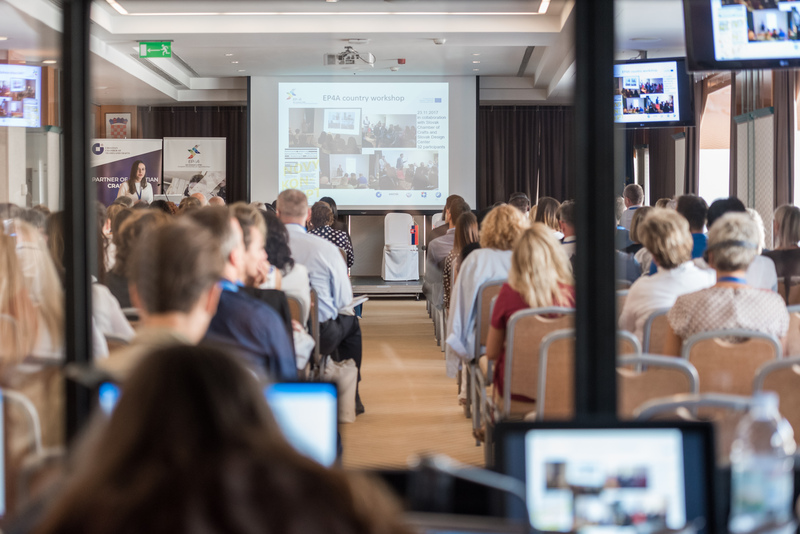 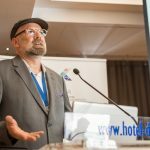 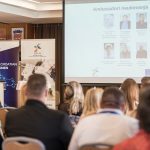 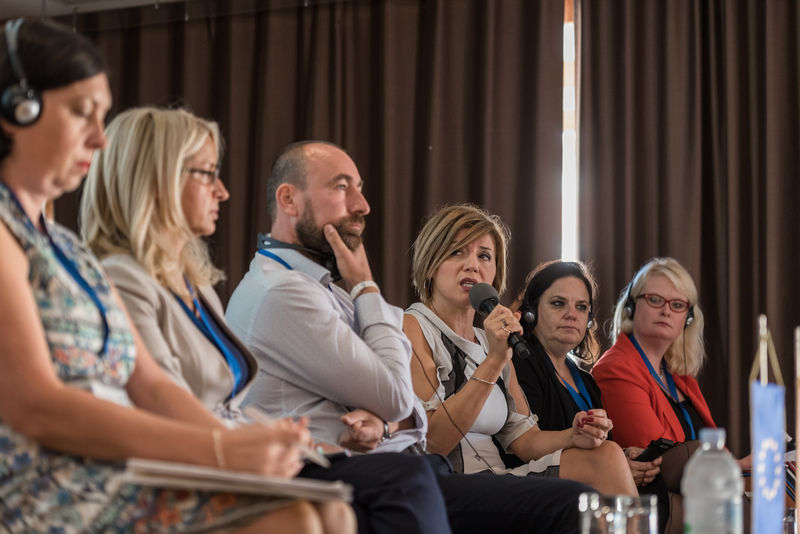 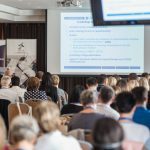 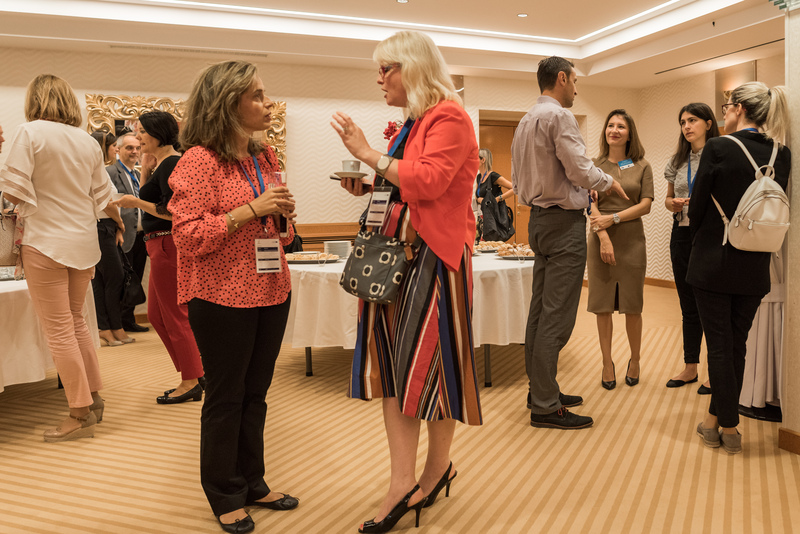 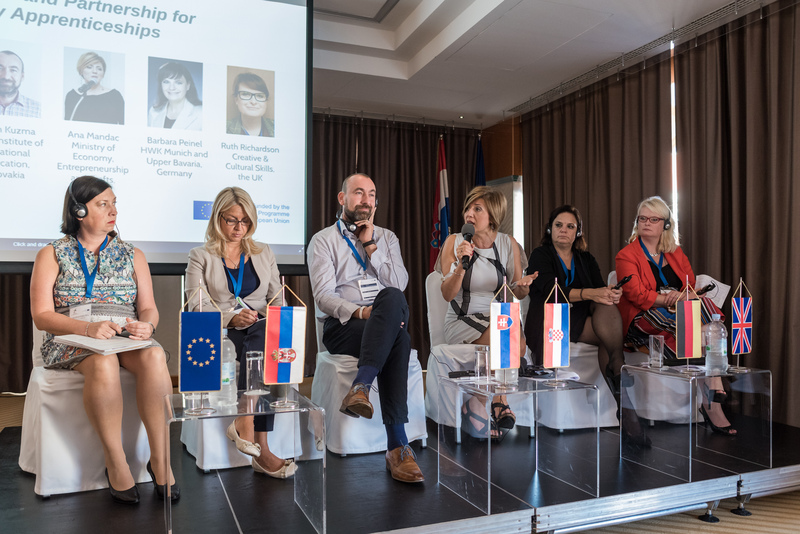 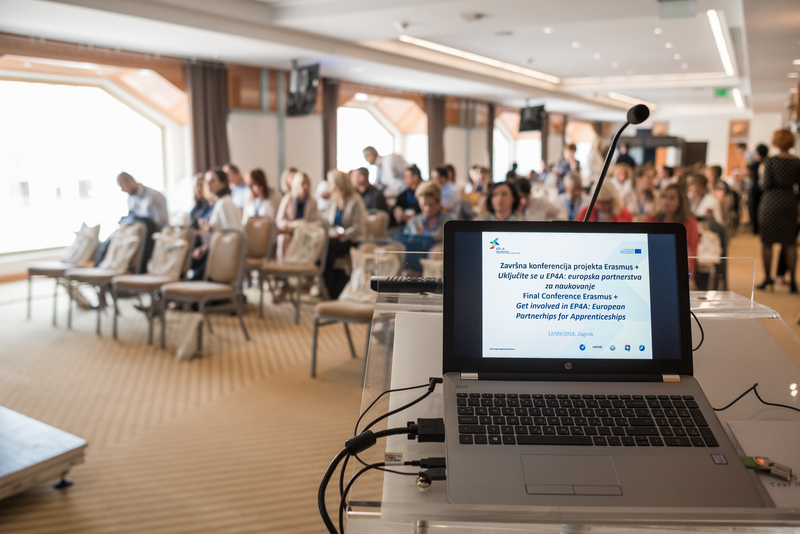 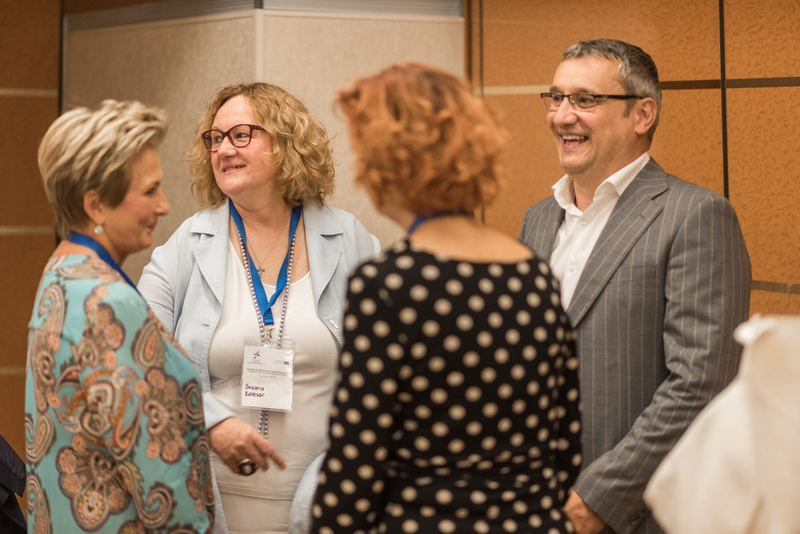 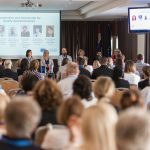 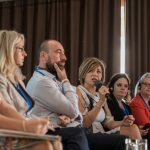 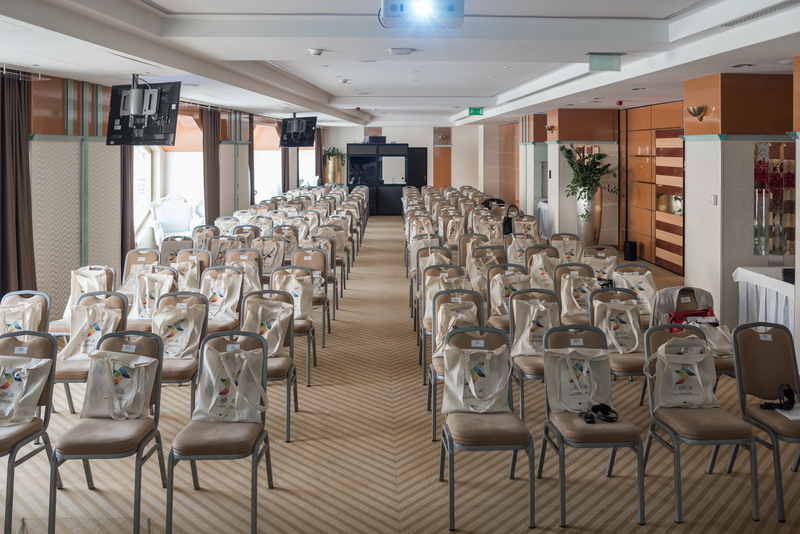 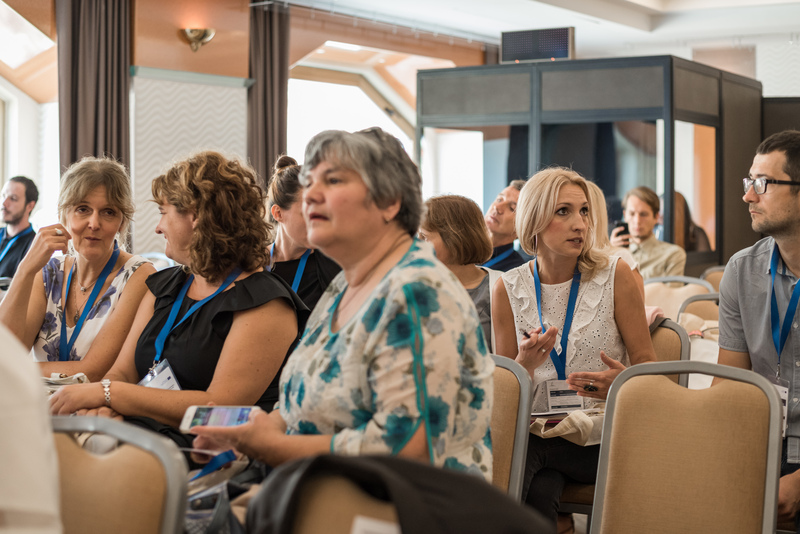 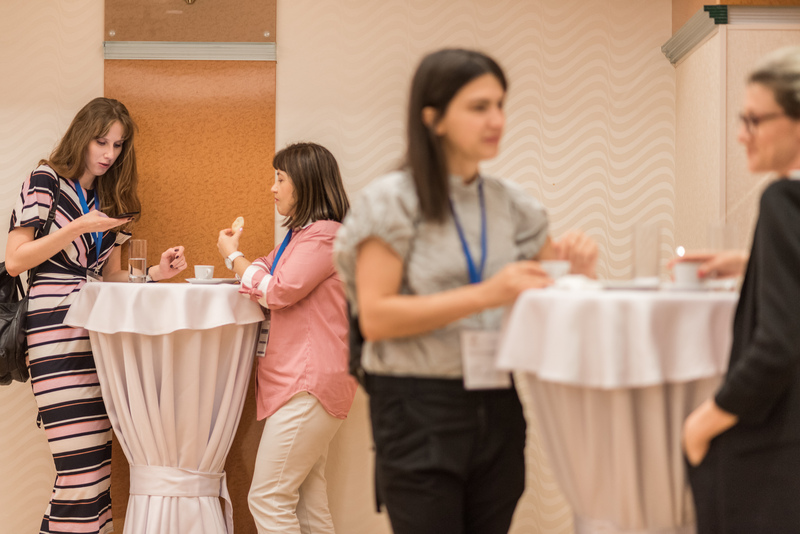 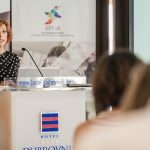 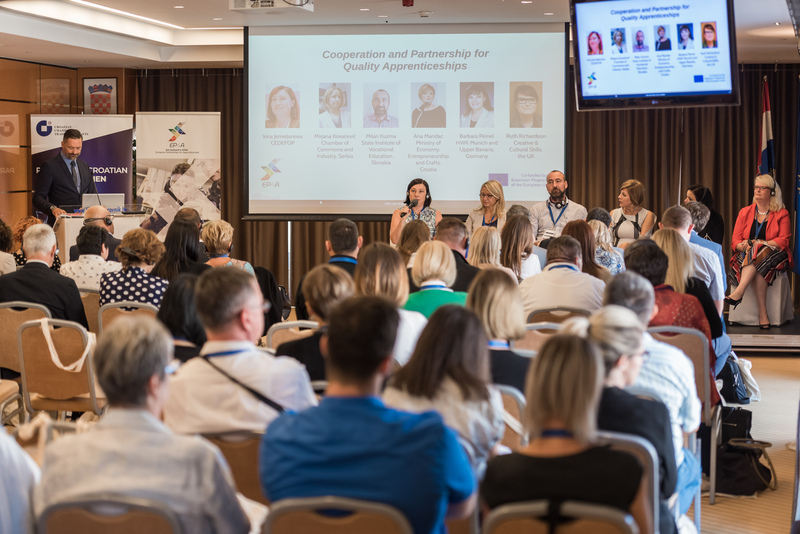 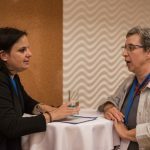 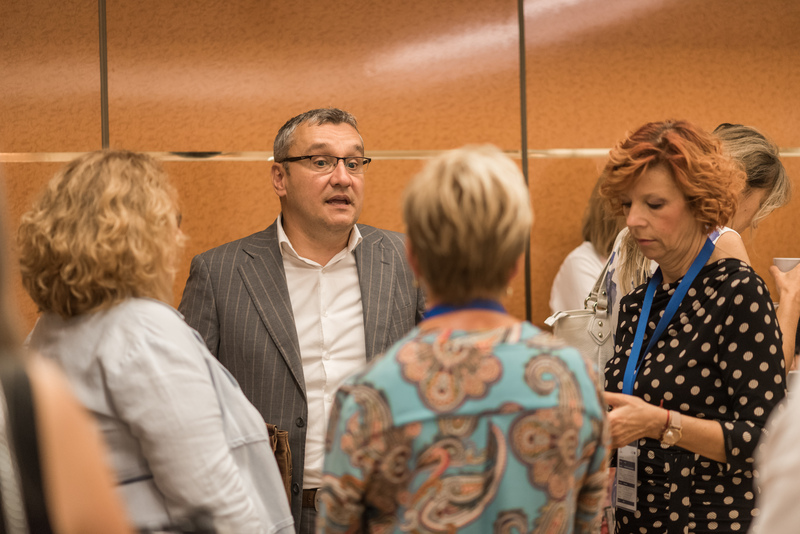 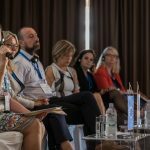 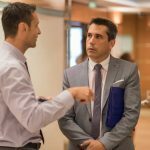 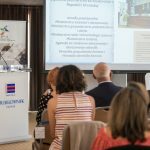 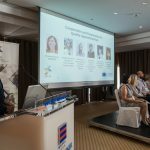 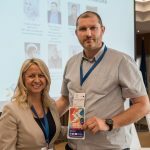 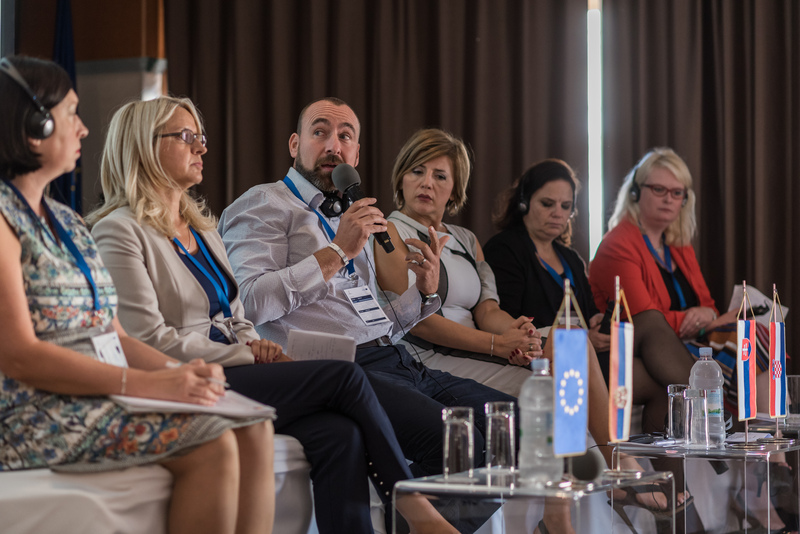 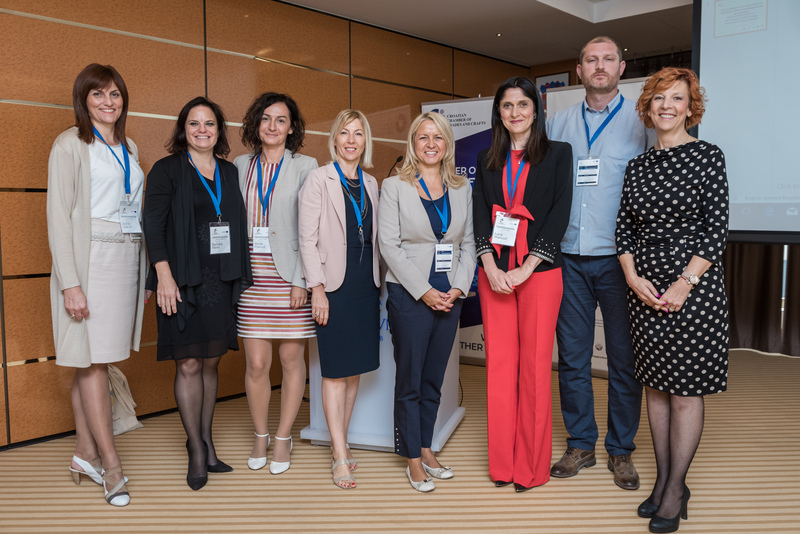 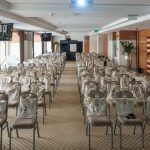 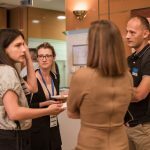 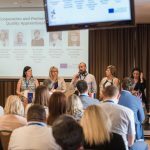 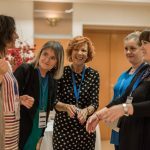 On 12 September 2018, the final conference of Erasmus+ project Get Involved in EP4A: European Partnerships for Apprenticeships was held in the hotel Dubrovnik in Zagreb. 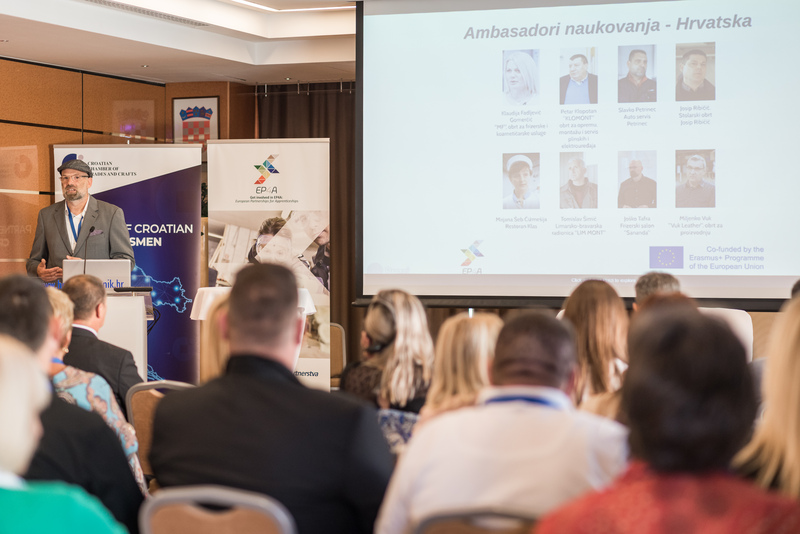 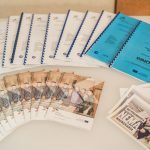 The implementation of the project started in October 2016 with the aim to promote apprenticeships by building partnerships between all relevant stakeholders in vocational education and training – i.e. 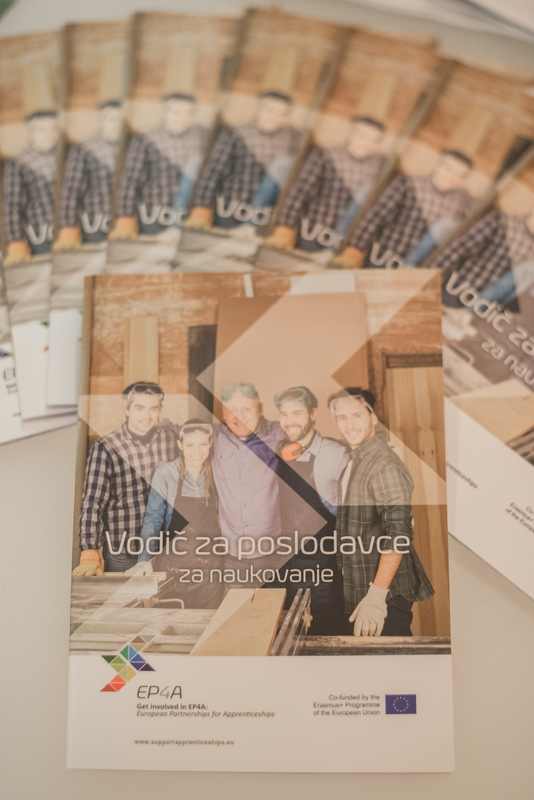 public institutions, chambers, social partners, vocational schools and employers. 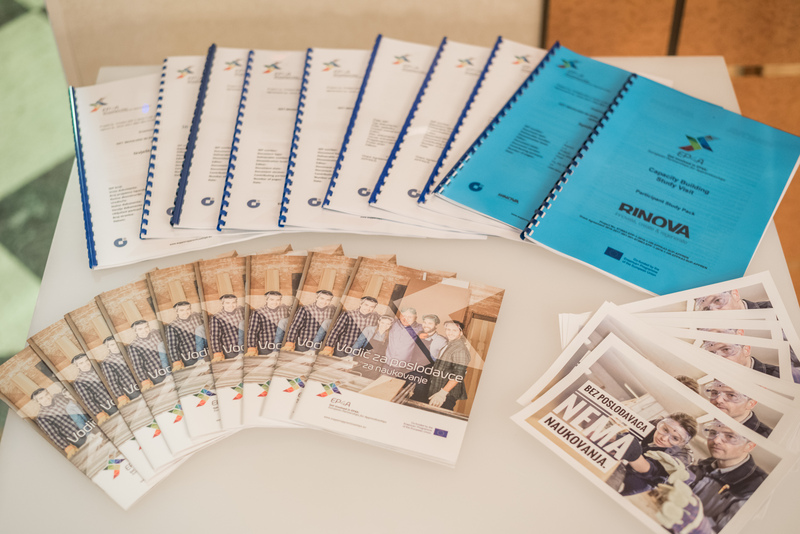 The leading project partner was the Croatian Chamber of Trades and Crafts while remaining partners were Rinova Ltd from the United Kingdom, the Regional Development Agency Senec-Pezinok from Slovakia, the Chamber of Commerce and Industry Serbia – Regional Chamber of Moravice and Raška Administrative Districts from Serbia and Chamber of Crafts for Munich and Upper Bavaria from Germany as the associated partner. 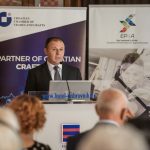 The welcoming speech was given by Mr Dragutin Ranogajec, the President of the Croatian Chamber of Trades and Crafts, who specially pointed out the important role of craftsmen in the implementation of practical training in vocational education and training emphasizing that Croatian craftsmen accepted and took the responsibility to teach young people, acknowledged the importance and need for the work-based learning method and have been implementing “life-ready school” for years. 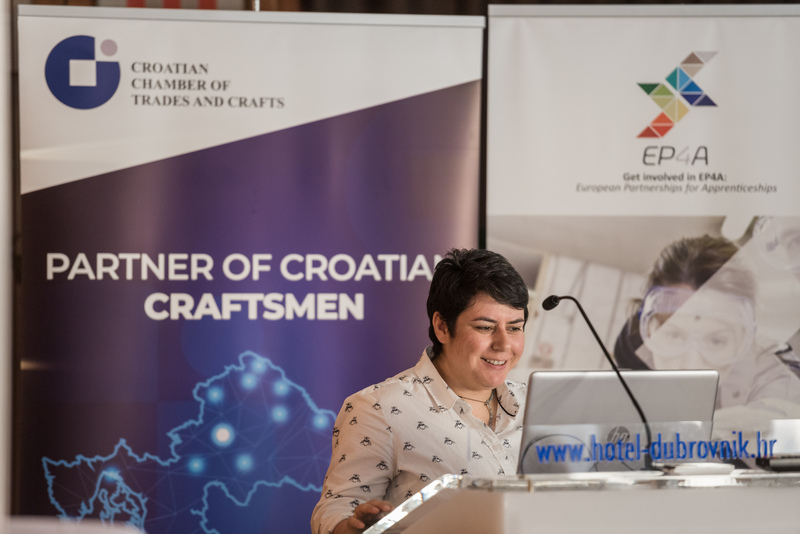 Ms Mirela Lekić, MSc, the Head of Department for Education and Human Resources Development at the Croatian Chamber of Trades and Crafts, presented the project aims to emphasize two main EP4A project results: partnership formation between all key stakeholders and raising the awareness of employers about the benefits of apprenticeship through targeted attractiveness campaign. 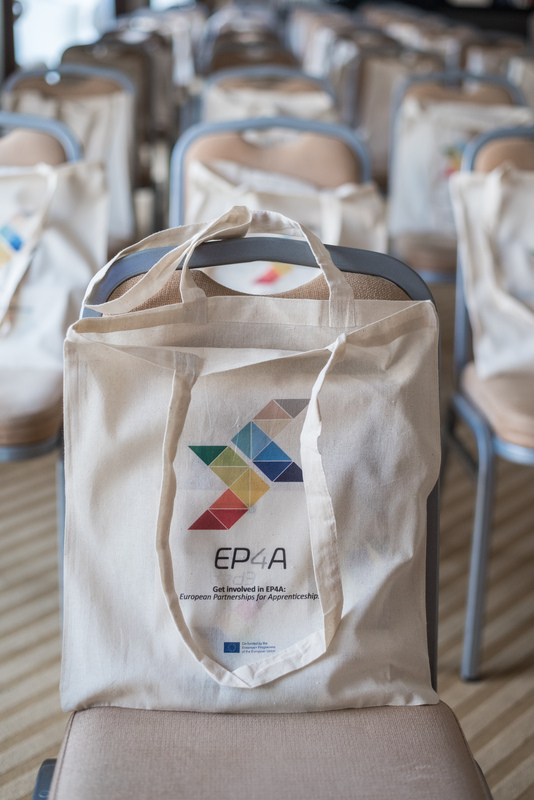 After that, the EP4A project results in project countries were presented. 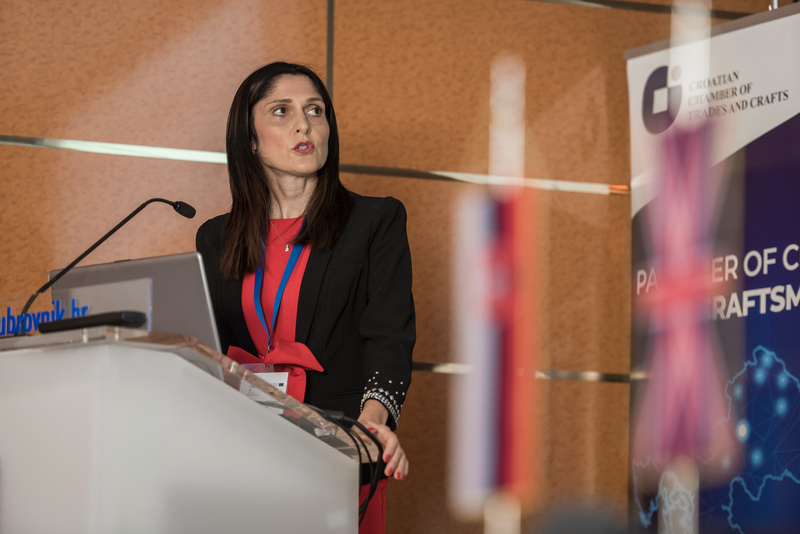 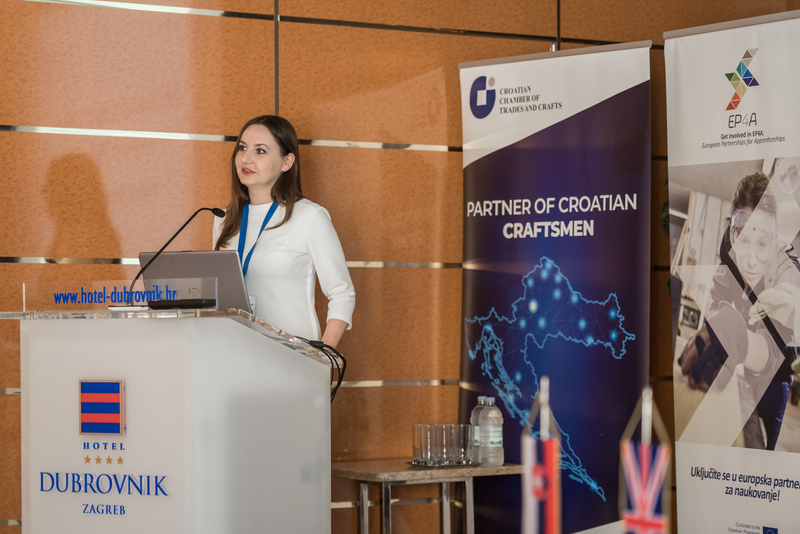 Ms Nevena Kurteš from the Croatian Chamber of Trades and Crafts pointed out specially the role of apprenticeship ambassadors in Croatia as well as the signing of Memorandum of Understanding on the apprenticeship partnership formation, which was signed in Croatia in January 2018 on the highest level between relevant ministries, the Agency for Vocational Education and Adult Learning and two chambers – the Croatian Chamber of Economy and the Croatian Chamber of Trades and Crafts. 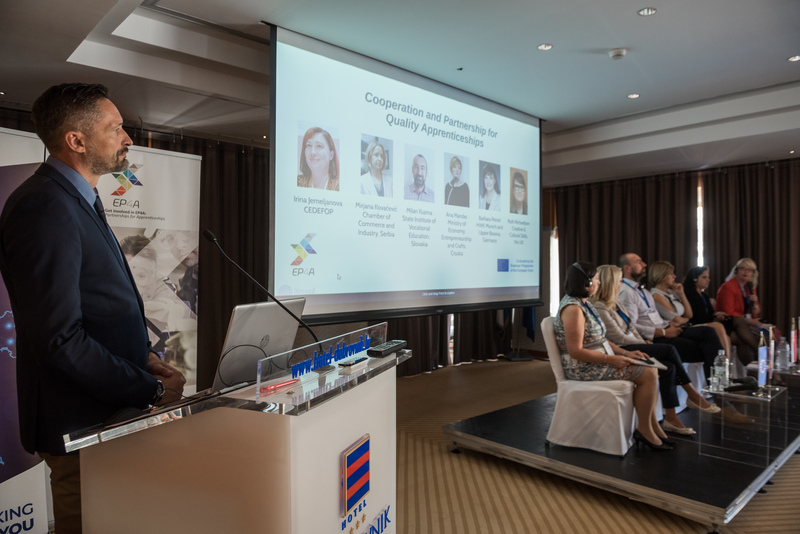 Ms Sheniz Tan presented project results from the United Kingdom where the project triggered possible new apprenticeship partnerships. 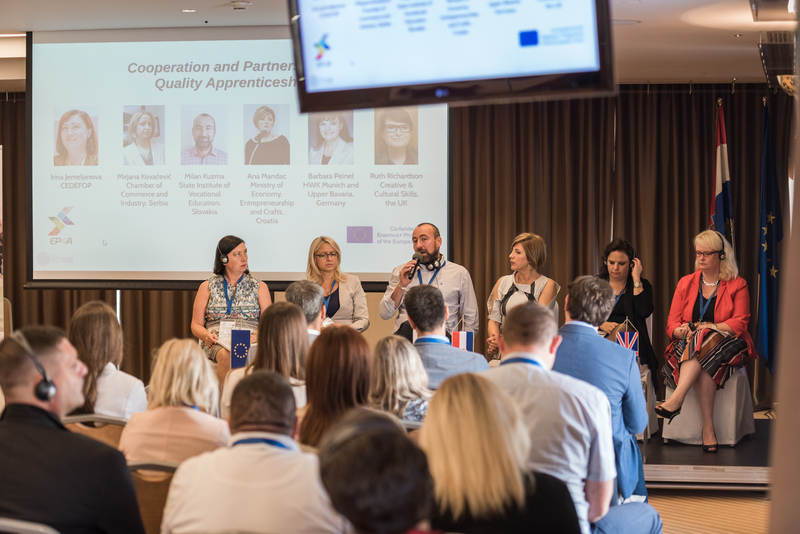 Apprenticeship system in the United Kingdom and in Germany were good practice examples for this project. 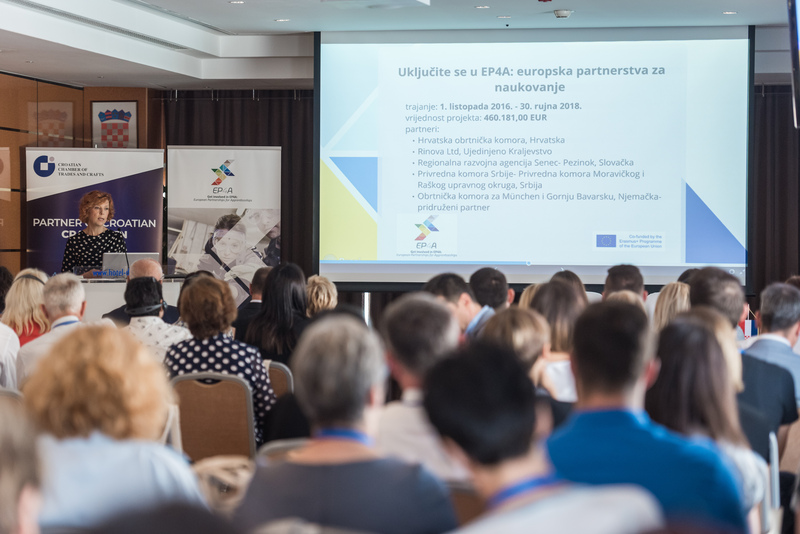 Ms Eva Balazovicova presented project results in Slovakia, where project activities were successfully included and coordinated with national activities for the development of dual education. 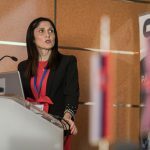 Finally, the results from Serbia were presented by Ms Ivana Marković. 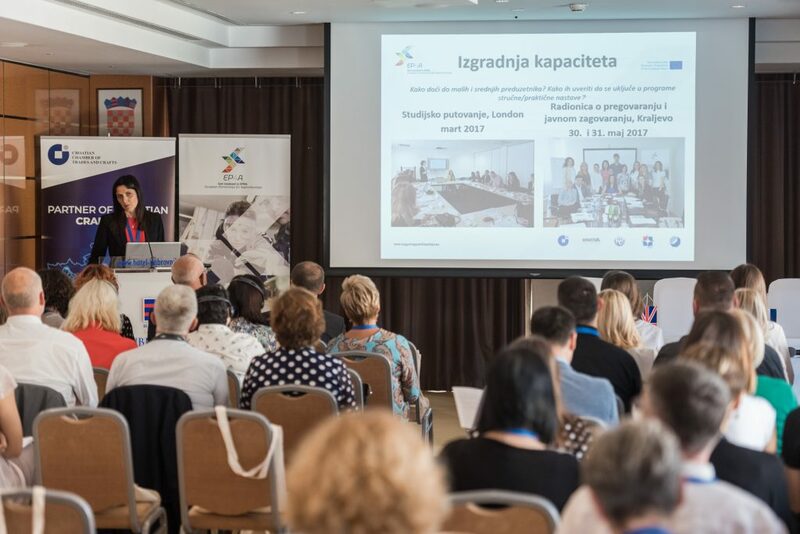 The project had the great impact in Serbia where it successfully helped in introducing and development of dual education. 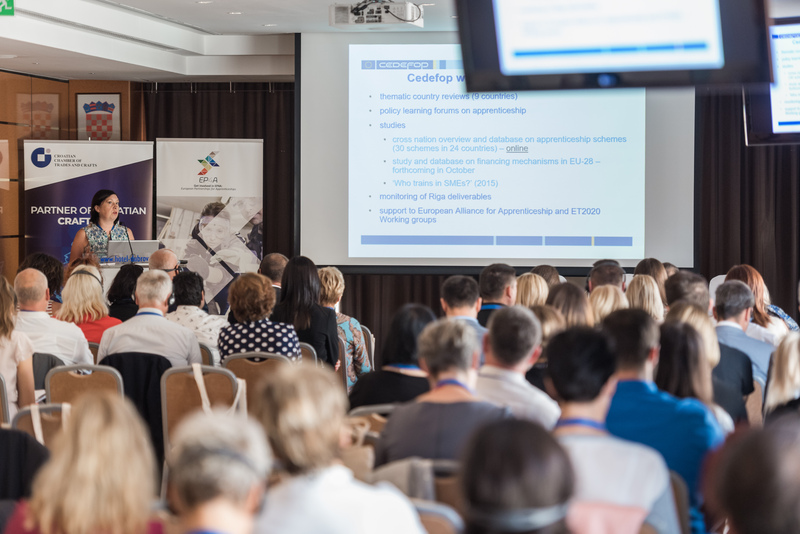 As the result of project promotional activities, the increased interest of students for occupations in dual education was recorded thanks to secured placements for practical training at the workplace. 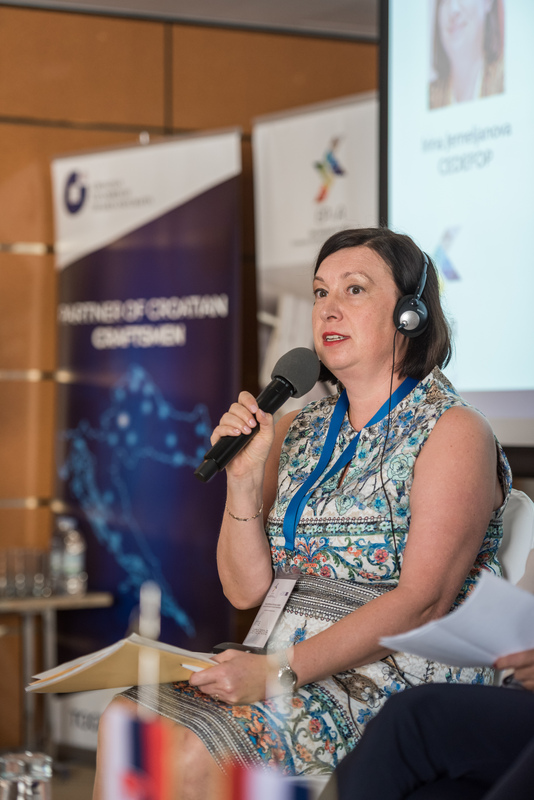 Ms Irina Jemeljanova from CEDEFOP presented novelties in the development of vocational education and training on the EU level as well as “Thematic Country Review for Croatia”. 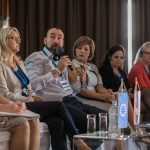 The study has the special focus on the unified model of education (JMO), which has been recognized as the Croatian model of dual education. 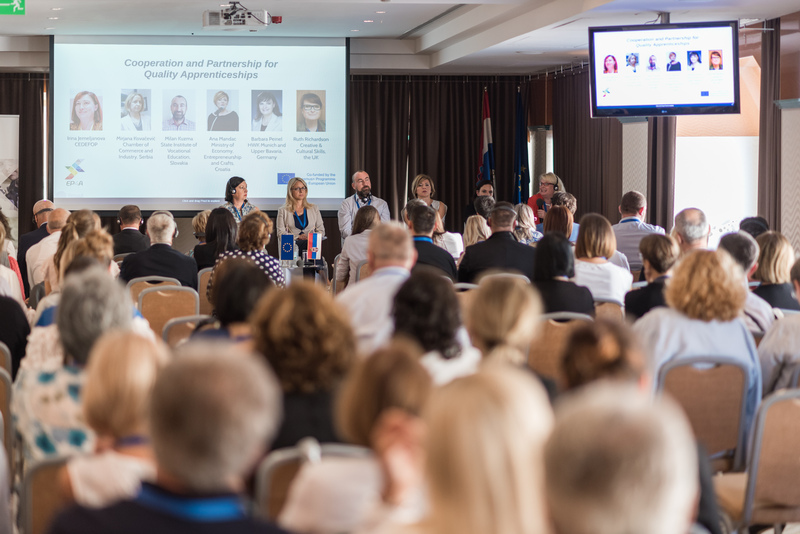 After presentations, the panel discussion was organised under the topic “Cooperation and partnership for quality apprenticeship”, and it gathered expert in the area of vocational education and training from all partner countries. 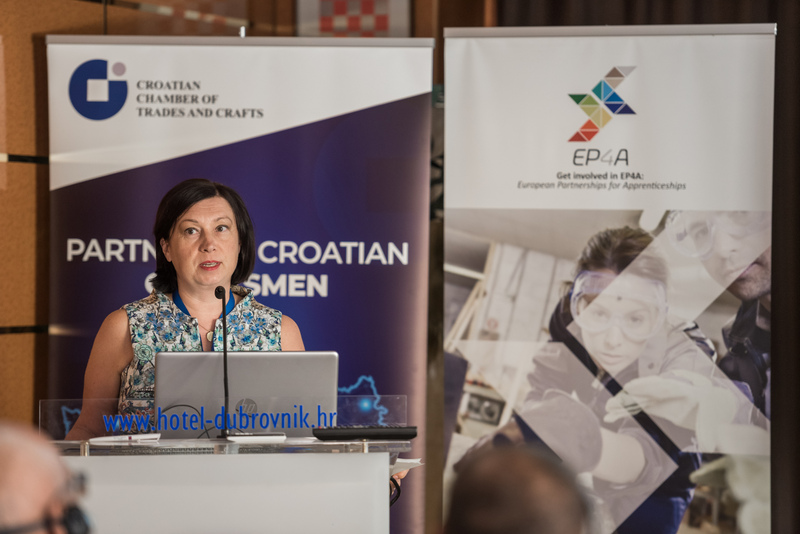 Ms Barbara Peinel from the Chamber of Crafts for Munich and Upper Bavaria emphasized the importance of chambers’ role in vocational education and training, while Ms Ruth Richardson from Creative & Cultural Skills pointed out briefly the key characteristics of the UK apprenticeship system and also addressed the issue of vertical mobility since apprenticeship is not part of regular education in the United Kingdom. 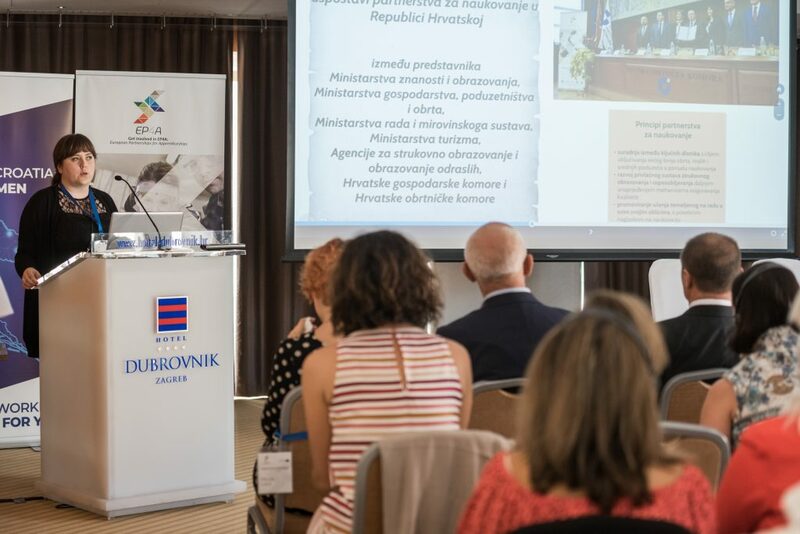 Mr Milan Kuzma from the State Institute for Vocational Education in Slovakia emphasized especially the importance of sharing experiences in vocational education and training between different countries and pointed out that the issue in Slovakia is that vocational occupations are being unattractive, which was also addressed by Ms Ana Mandac, the assistant minister in Croatian Ministry of Economy, Entrepreneurship and Crafts. 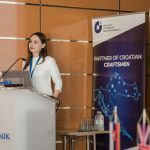 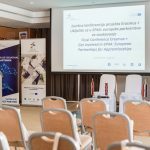 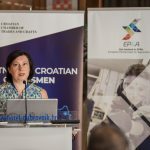 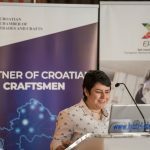 She presented measures by the ministry in order to motivate students to enrol in craft occupations and especially praised the good cooperation with the Croatian Chamber of Trades and Crafts. 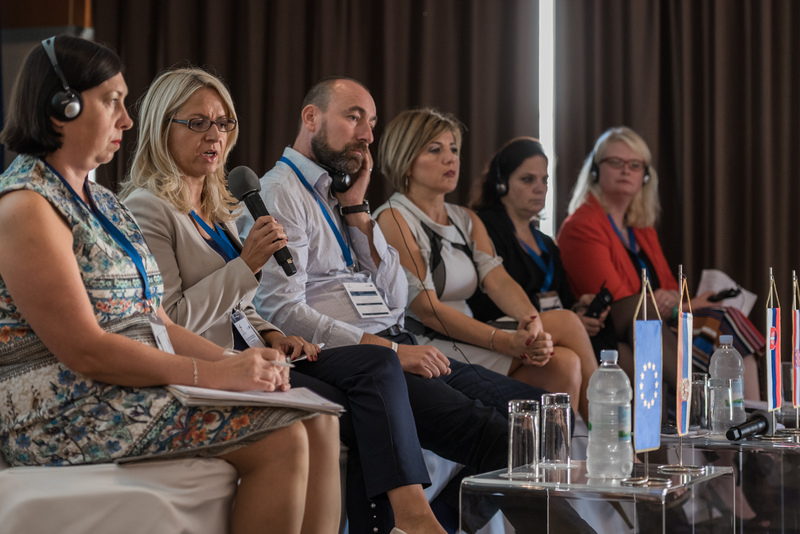 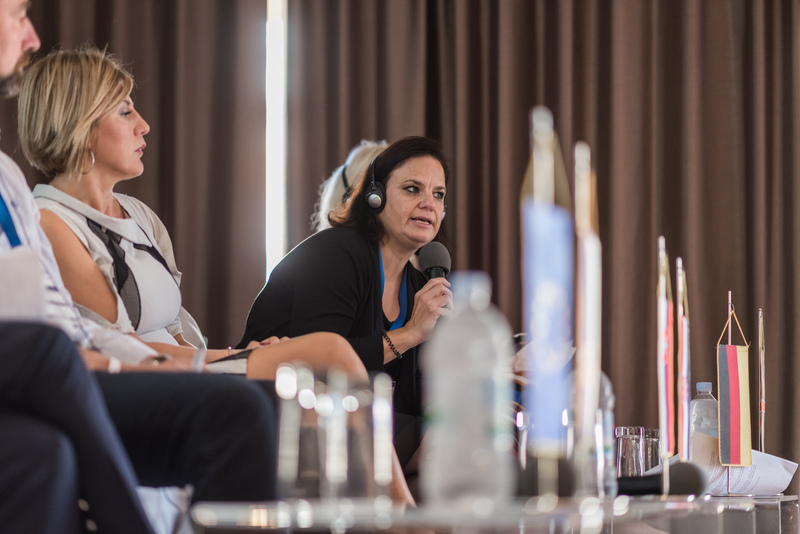 Ms Mirjana Kovačević from the Chamber of Commerce and Industry Serbia described how the dual education has been introduced in Serbia and also pointed out that it is not possible to simply copy the existing system from another country but the national circumstances need to be taken into account. 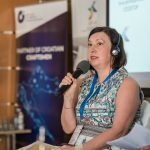 She also acknowledged the good cooperation between the Ministry of Education, Science and Technology Development and the Chamber of Commerce and Industry Serbia. 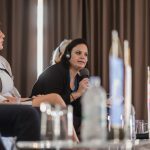 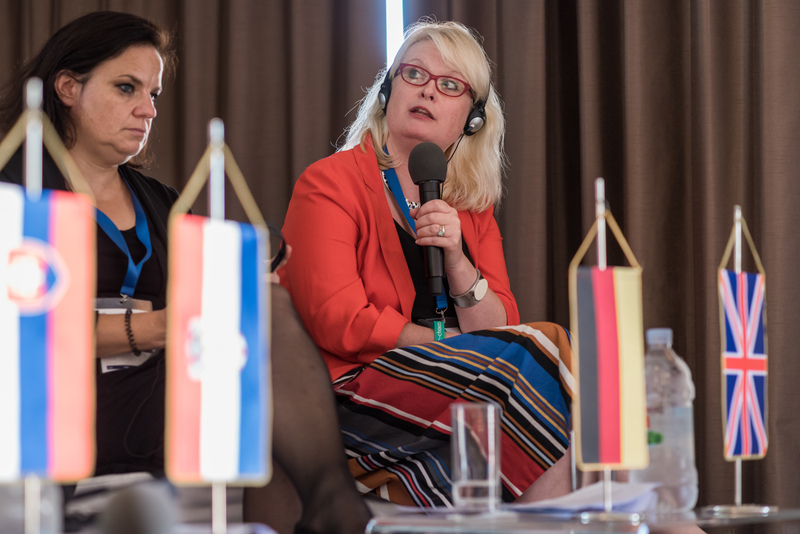 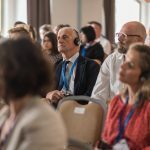 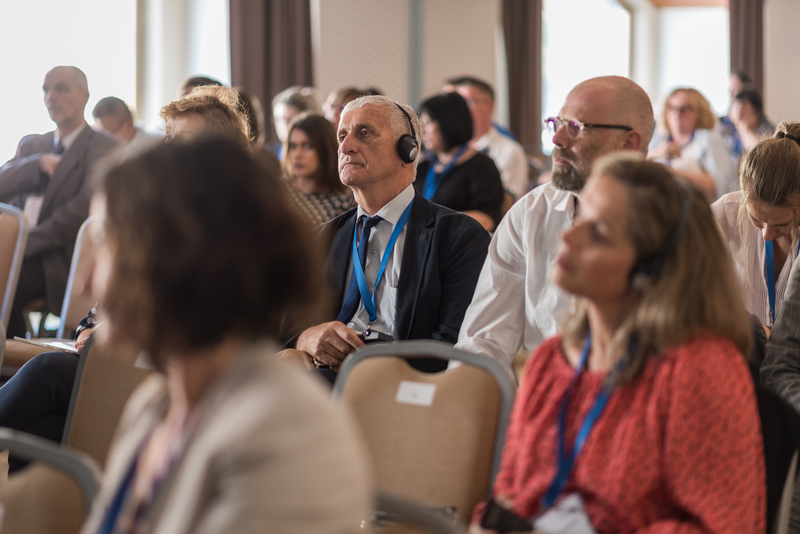 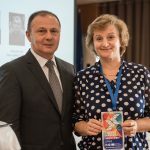 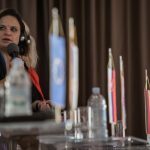 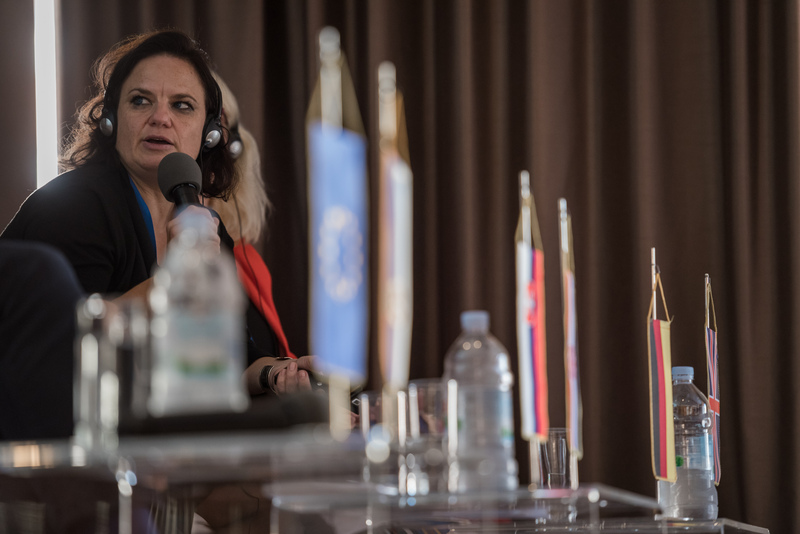 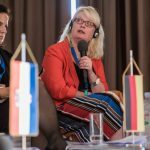 Ms Irina Jemeljanova, the CEDEFOP representative, concluded that the unified model of education (JMO) should be considered as “the Cinderella who requires more care and attention in order to turn into a princess”. 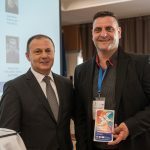 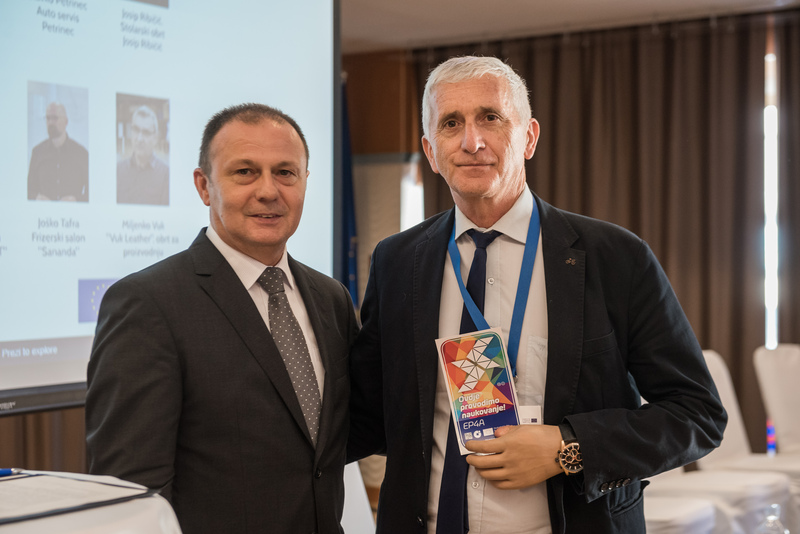 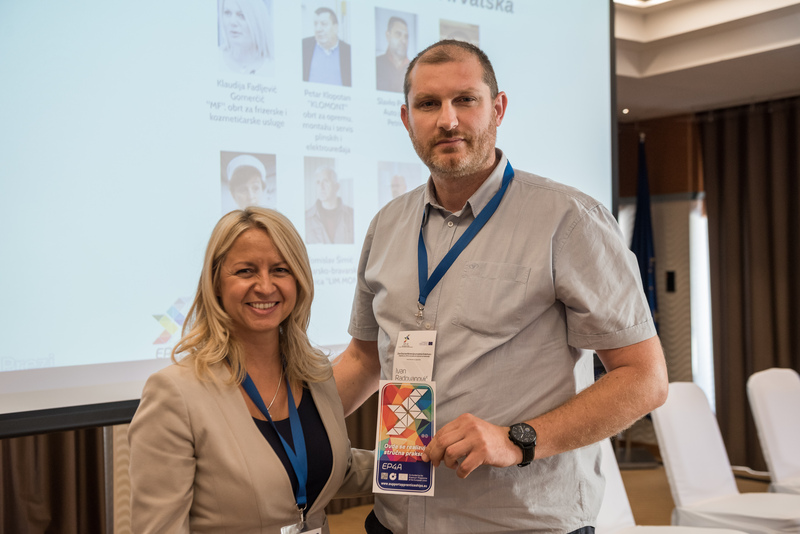 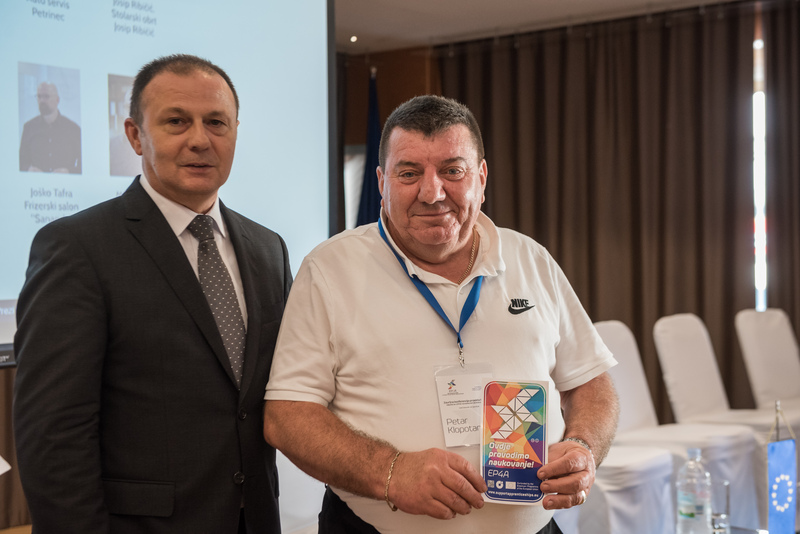 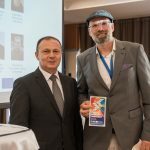 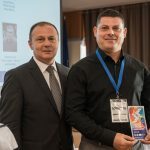 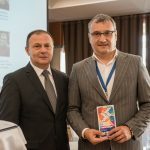 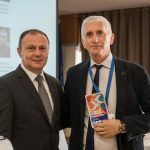 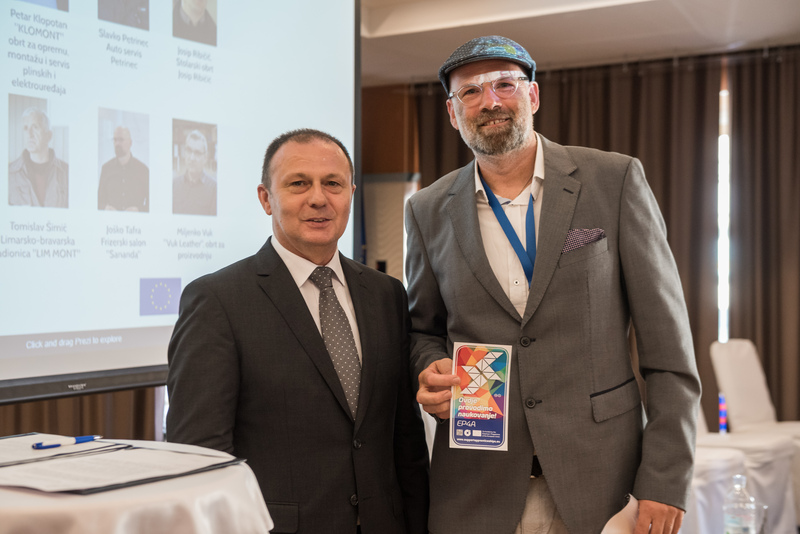 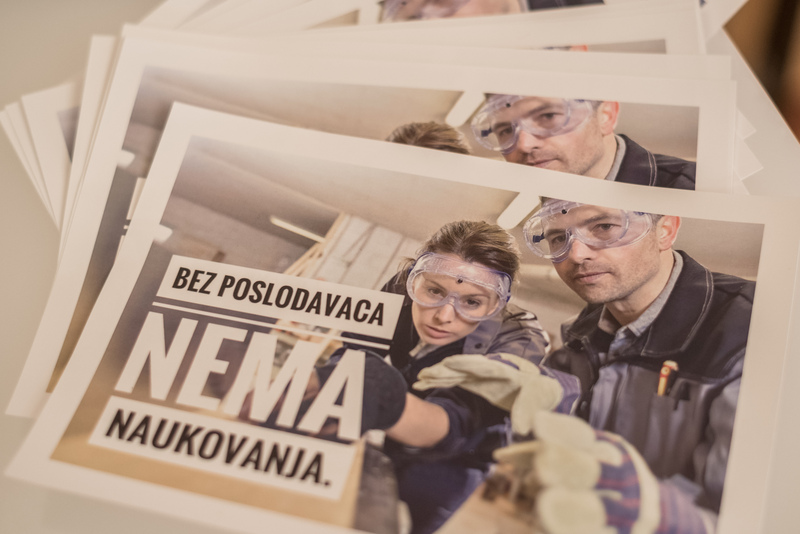 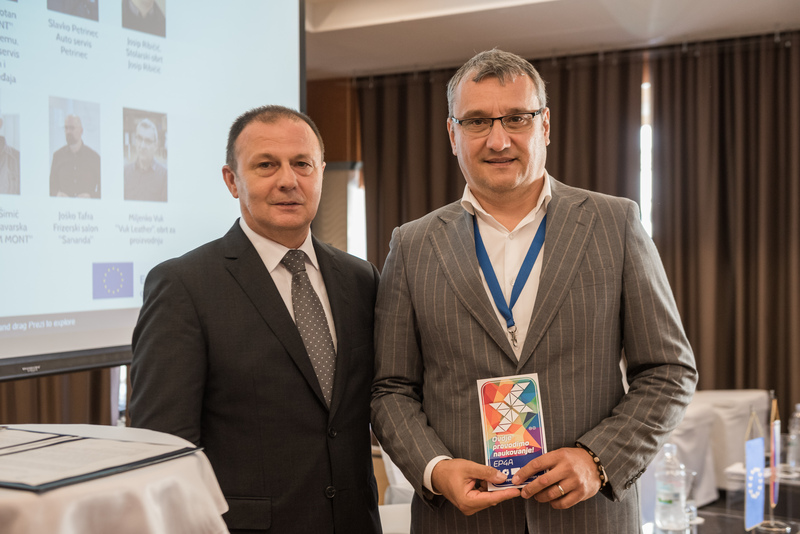 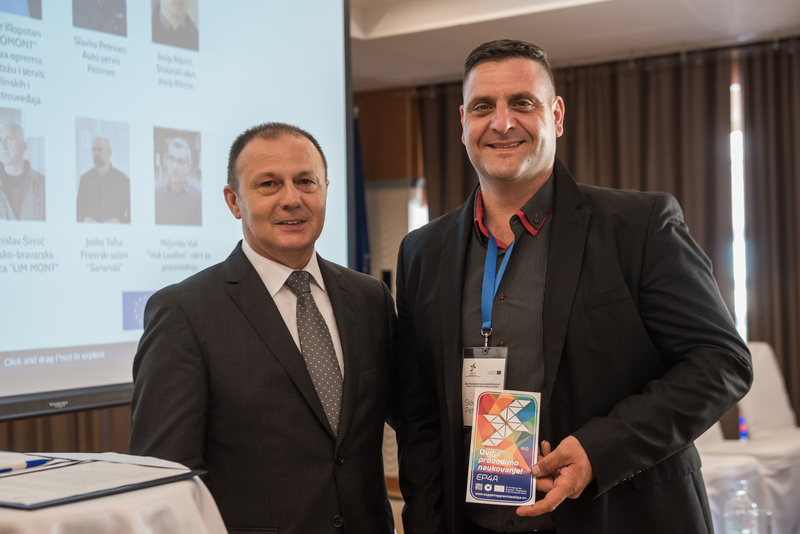 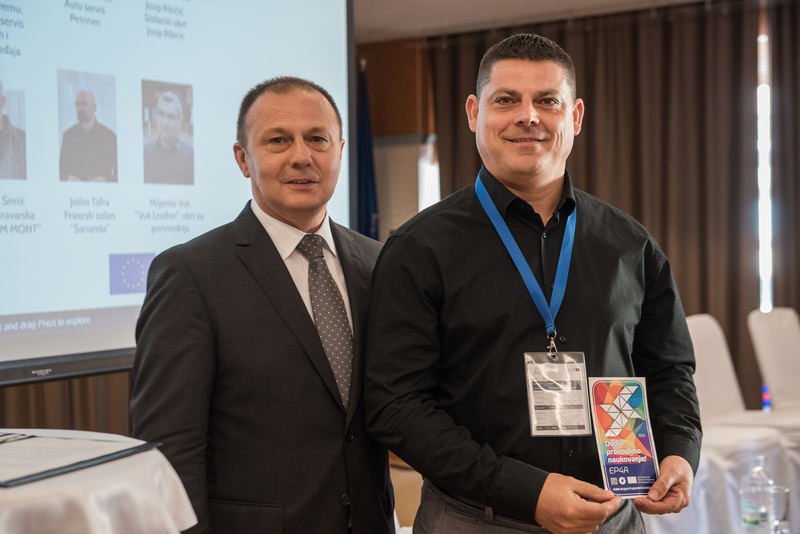 After the panel discussion, the short movie about apprenticeship ambassadors from Croatia was shown and after it, Mr Dragutin Ranogajec, the President of the Croatian Chamber of Trades and Crafts awarded them the “trademark”, which was designed and printed as the part of EP4A project activities. 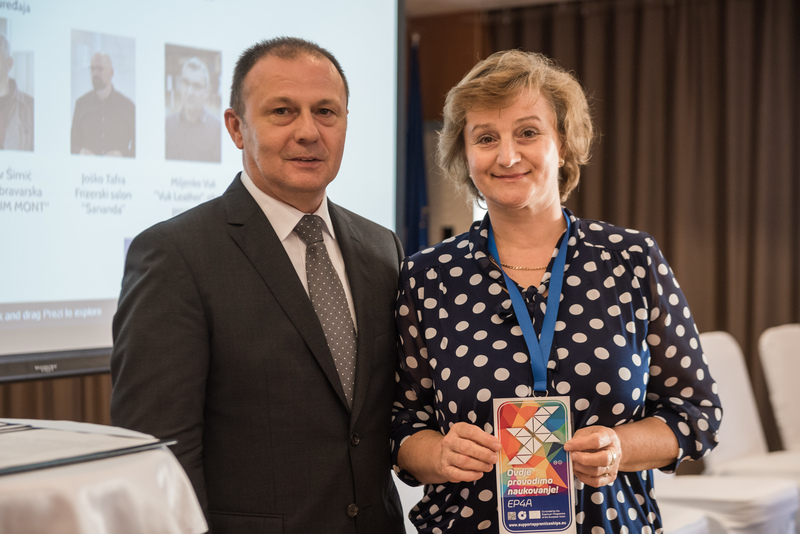 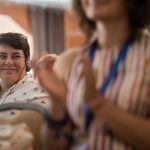 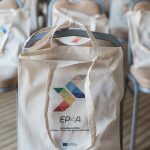 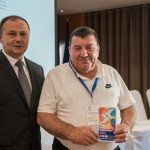 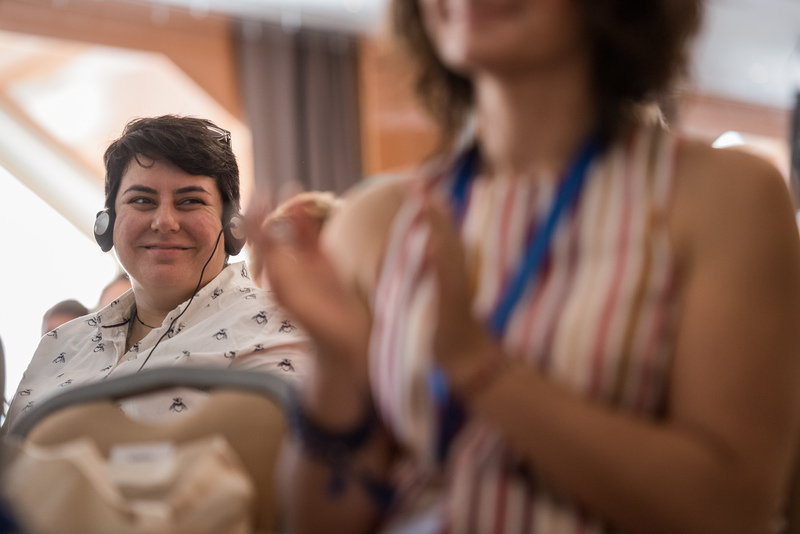 “Trademark” is the sign of quality for crafts, small and medium enterprises which participate in the apprenticeship, and the award ceremony was first organized at the EP4A final conference. 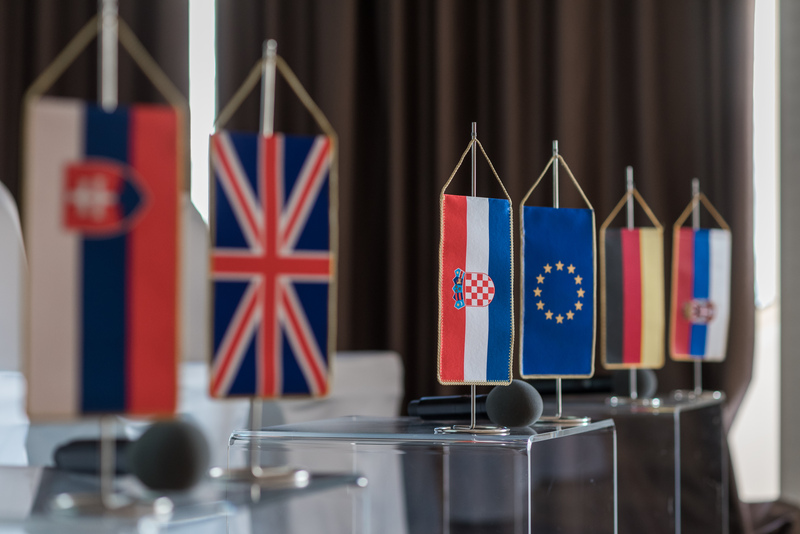 Ambassadors who received the “trademark” were Ms Klaudija Fadljević Gomerčić, Mr Petar Klopotan, Mr Slavko Petrinec, Mr Josip Ribičić, Ms Mirjana Šeb Čišmežija, Mr Tomislav Šimić, Mr Joško Tafra and Mr Miljenko Vuk. 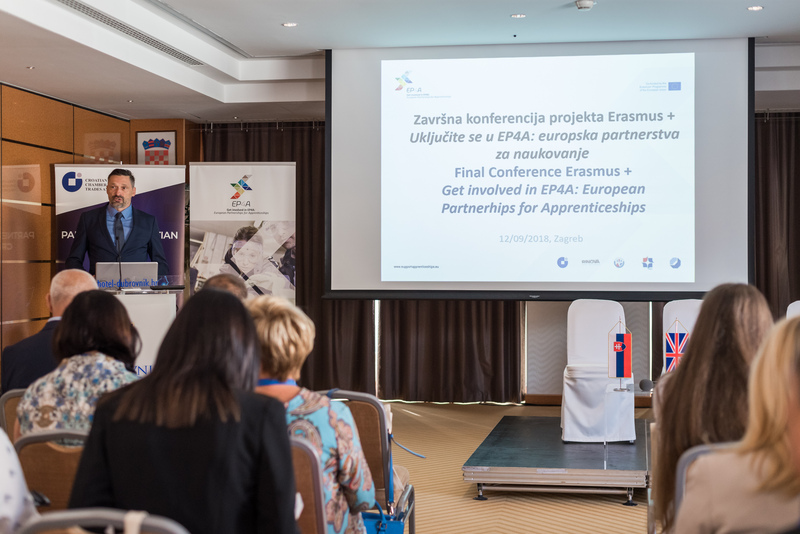 Also, ambassadors signed the Statement of Support to Apprenticeship Partnership. 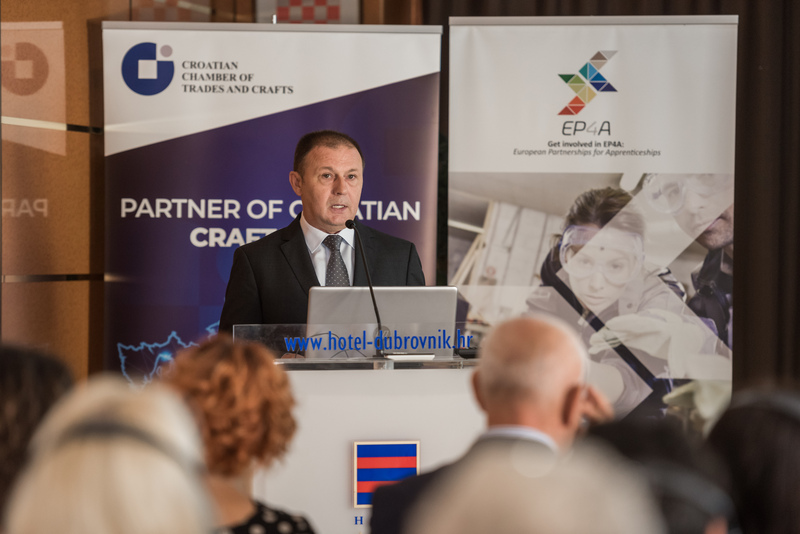 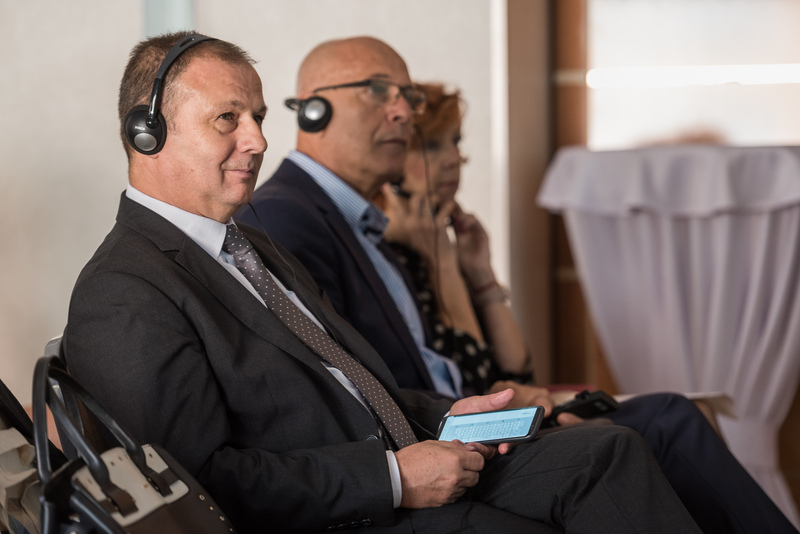 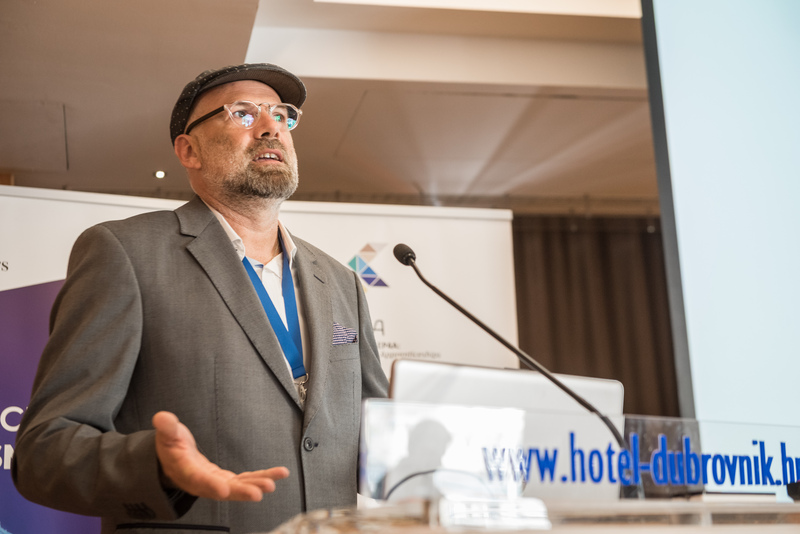 Mr Joško Tafra held a brief speech in the name of all ambassadors, emphasizing the importance of projects, such as the EP4A project, which was designed in order to help craftsmen and to make their work easier. 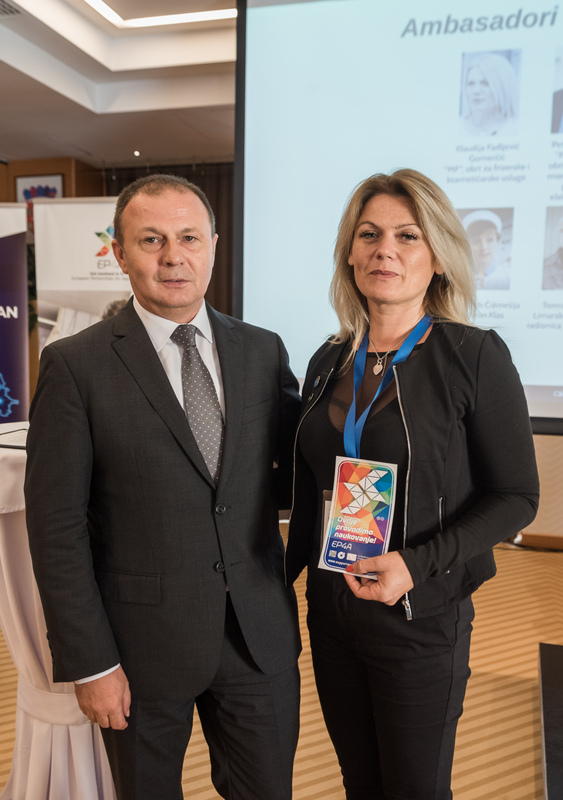 The employer from Serbia, Mr Ivan Radovanović was also awarded a “trademark” by Ms Mirjana Kovačević from the Chamber of Commerce and Industry Serbia. 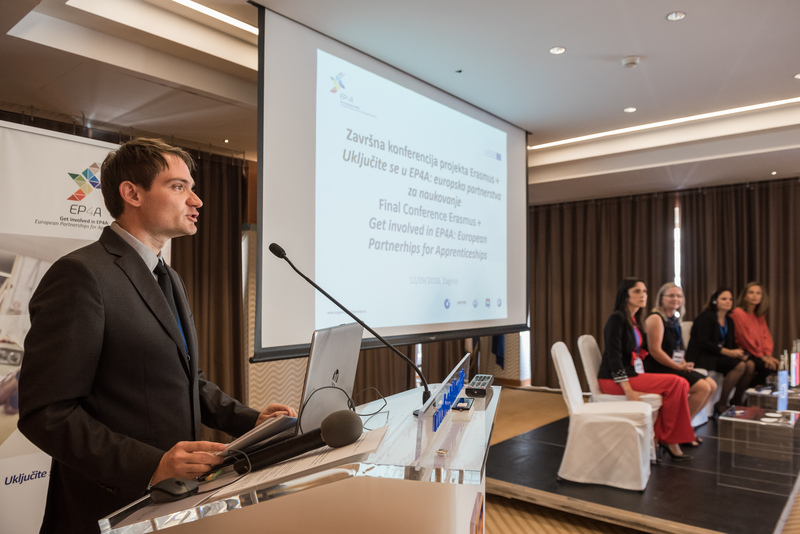 Mr Zoran Varga from the Croatian Chamber of Trades and Crafts presented the conference conclusions emphasizing that all project partners will continue to work on improving the vocational education and training in their countries. 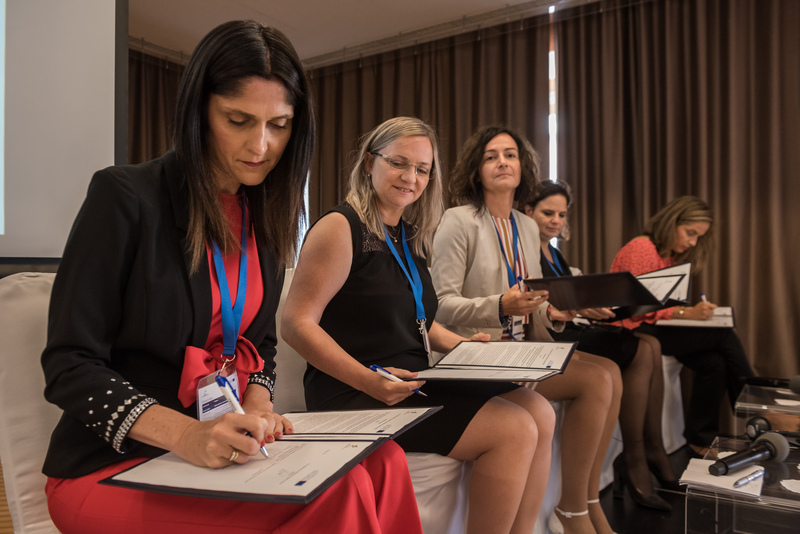 All project partners have signed the Declaration of Intent on the future co-operation in the area of vocational education and training and future projects related to work-based learning and apprenticeship. 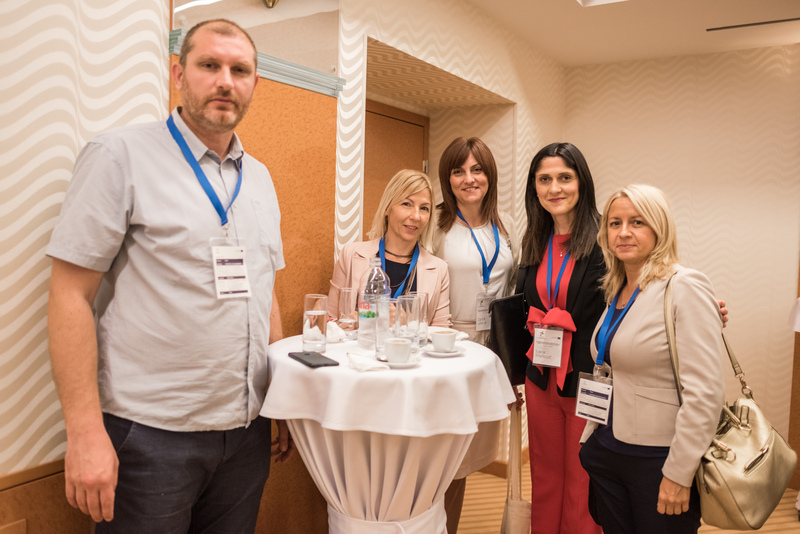 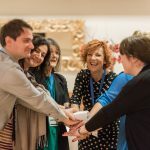 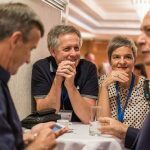 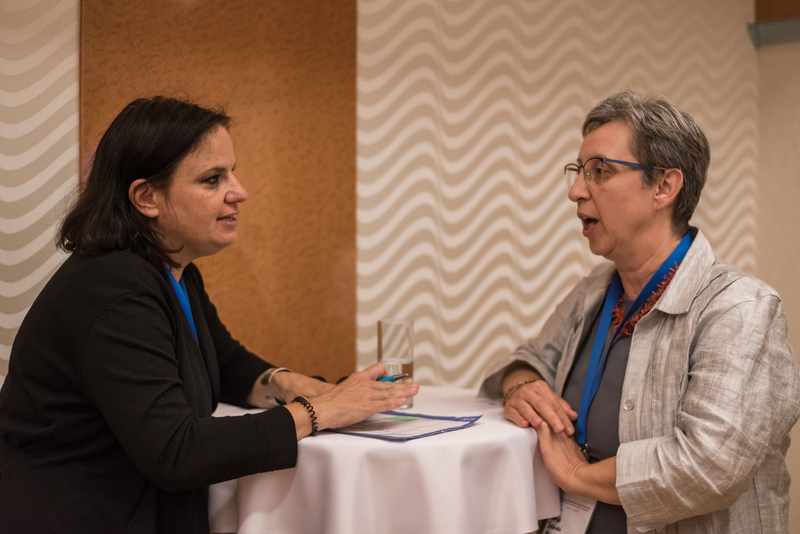 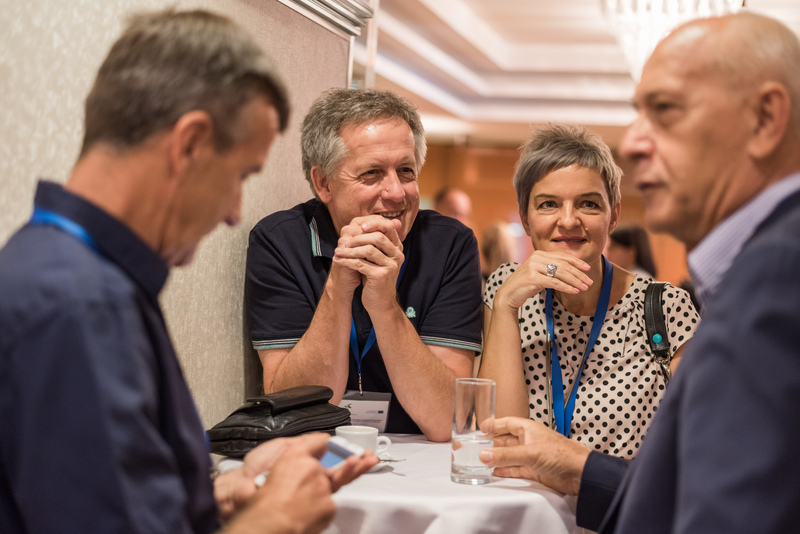 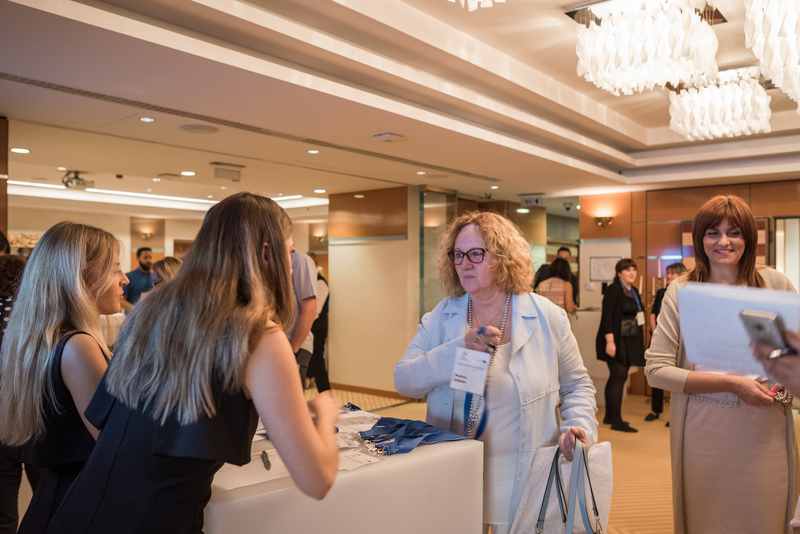 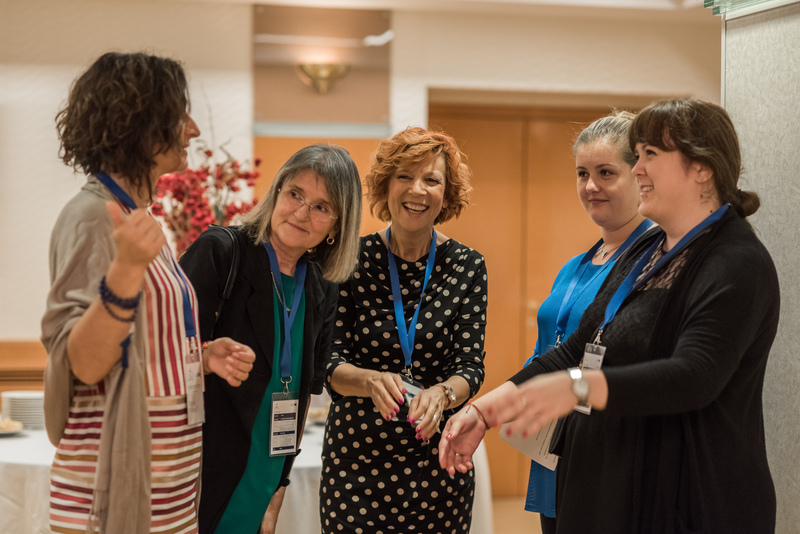 All photographs from the conference can be seen below.